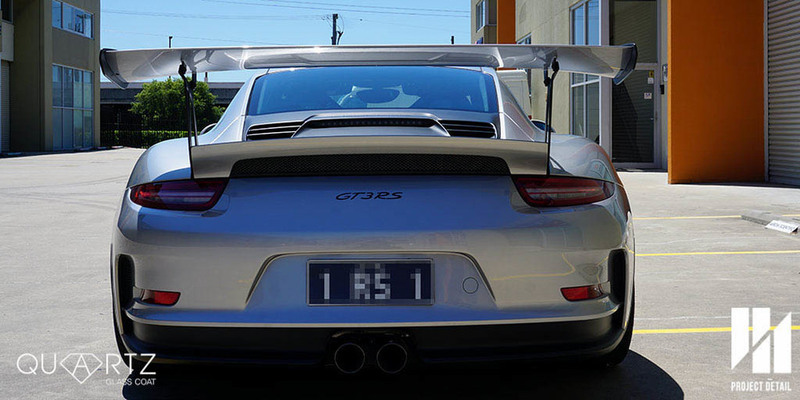 Audi RS3 Sportsback in Glacier White. 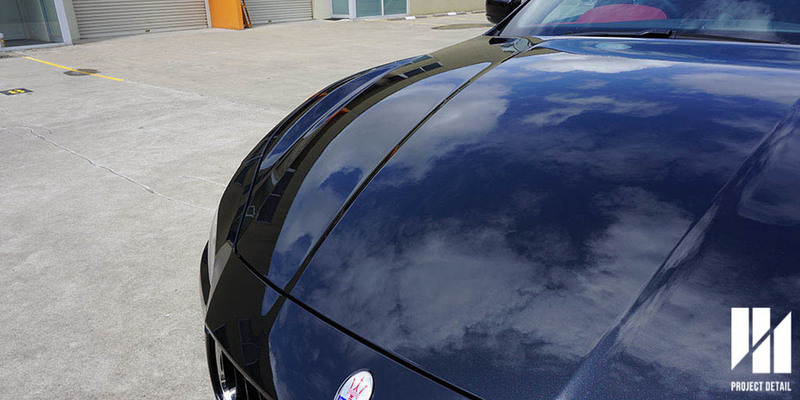 Coated by Project Detail with Modesta BC-04 Nano Titanium Glass Coating. 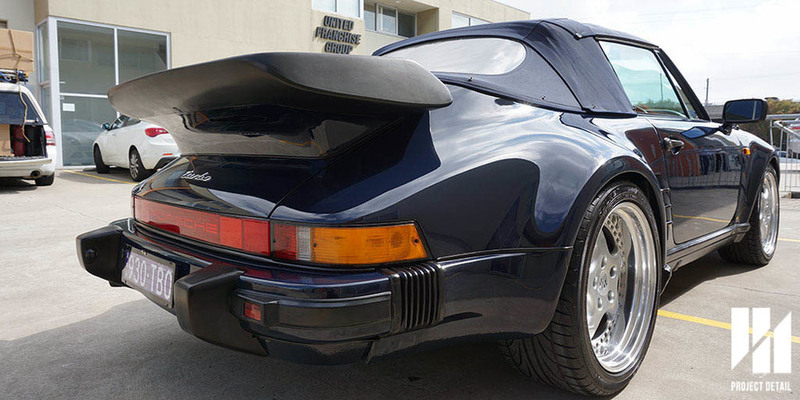 We have had the opportunity to maintain this for the owner. 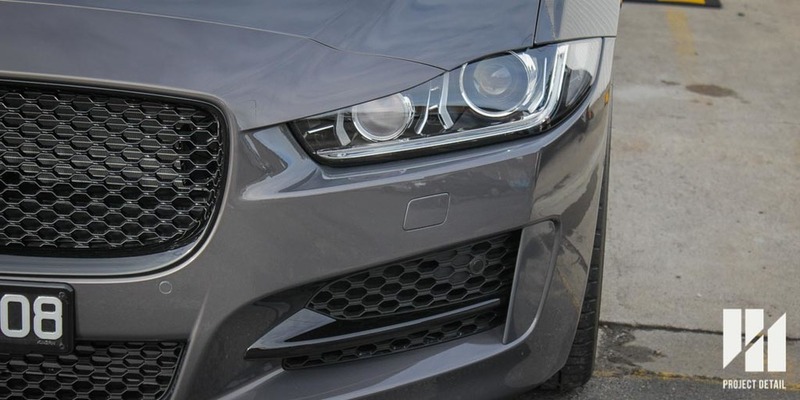 Audi's decision to release the RS3 variant to Australia was well met by car fans in Australia, fitting nicely into the premium and and sitting atop performance hatchback category. 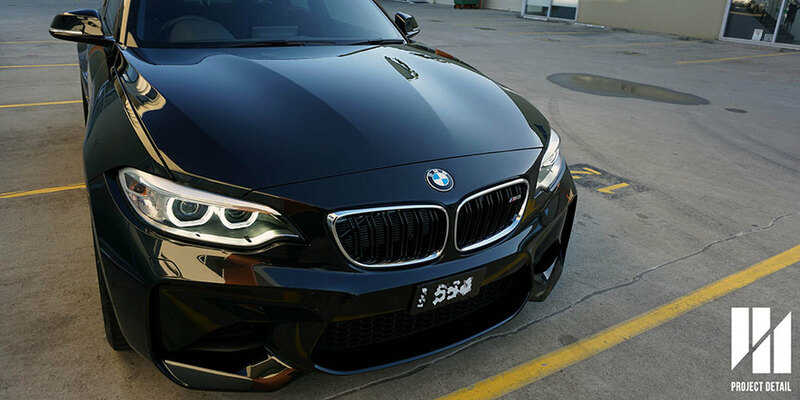 The 5 Cylinder was a standout, with owners either keeping them stock or getting mind blowing (and ear piercing) performance with just a few select changes. 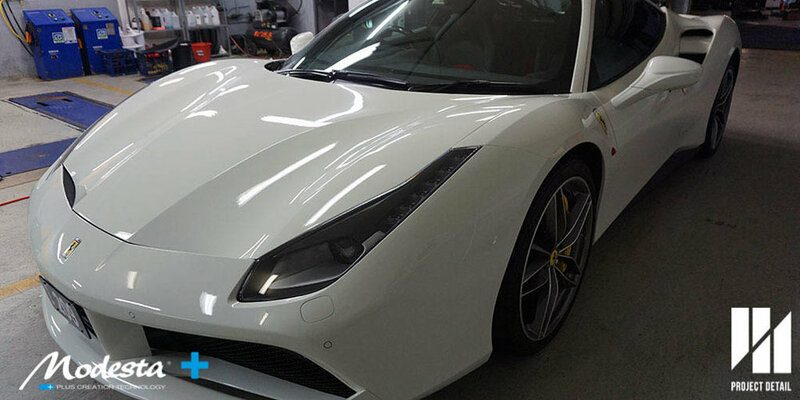 Project Detail has been chosen to protect a number of RS3's as an official installer for Modesta Liquid Glass Coatings including this example in Glacier White. 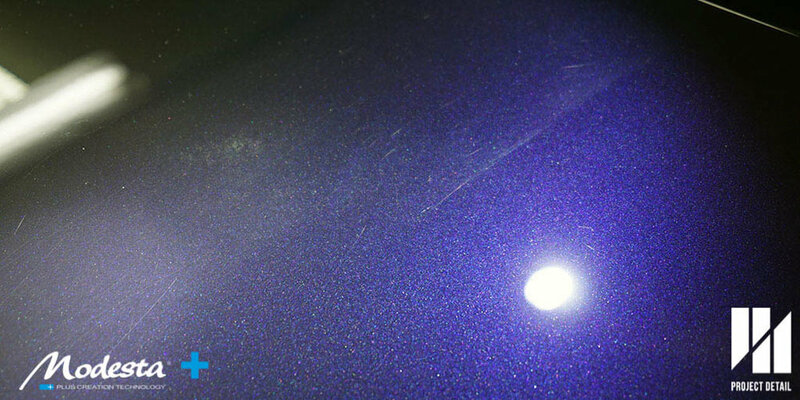 The owner had previously had his older vehicles coated in other professional ceramic coatings including Silicon Carbide coatings which he was not happy with their long term performance overall. 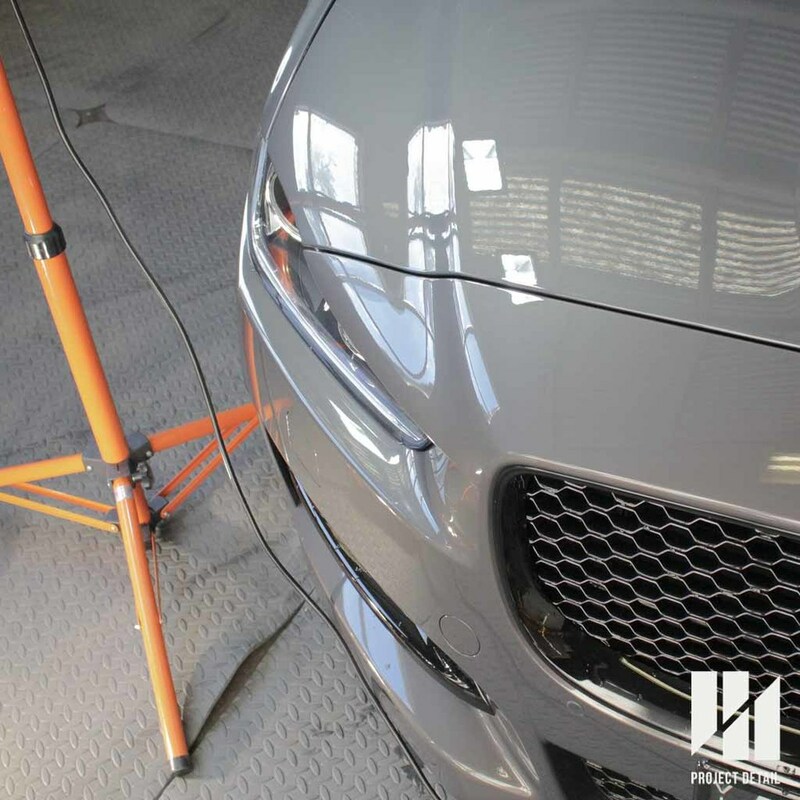 Project Detail utilises the right equipment in order to provide the right results. 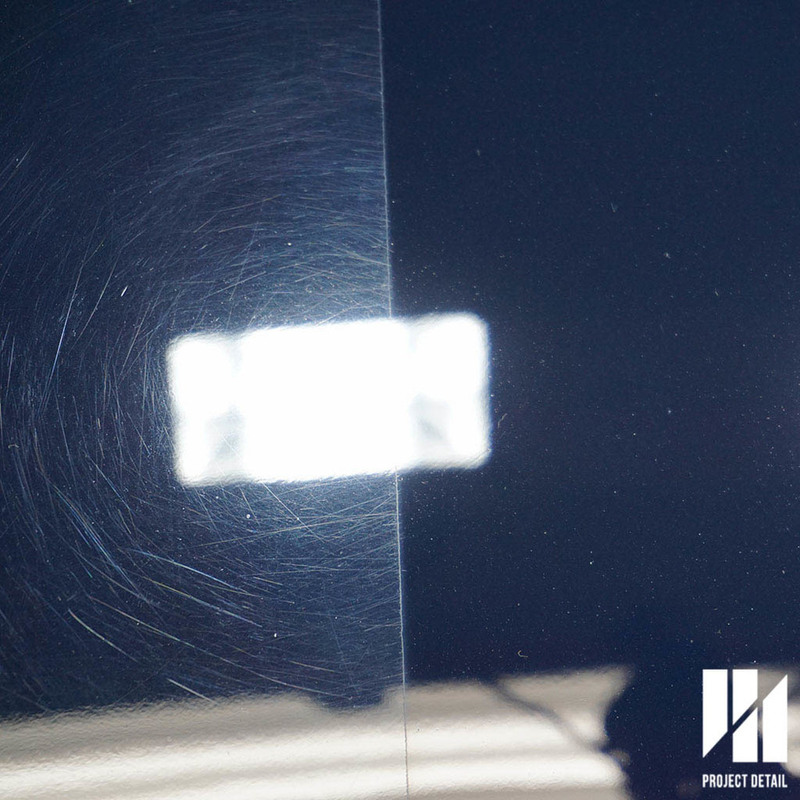 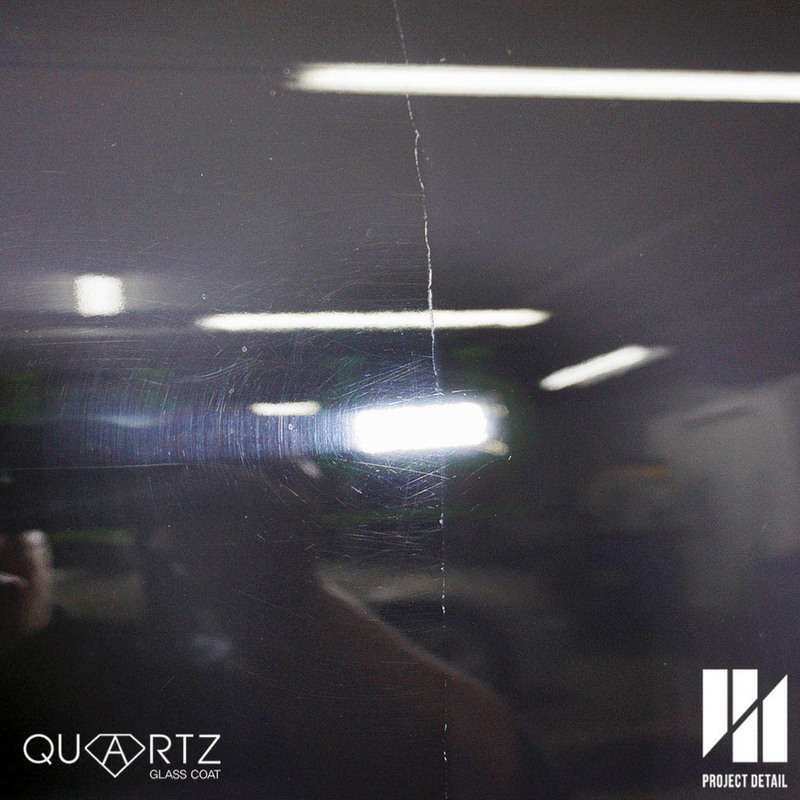 The RS3 underwent a full protection process; paint correction and an application of P01A, and then the BC-04 Coating. 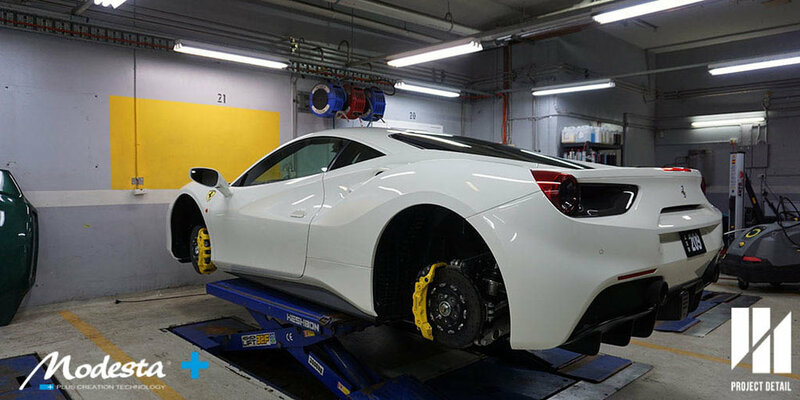 We also fully removed the wheels in order to deep clean and spray apply BC-06 Heat Resistant Coating for the wheels and brakes. 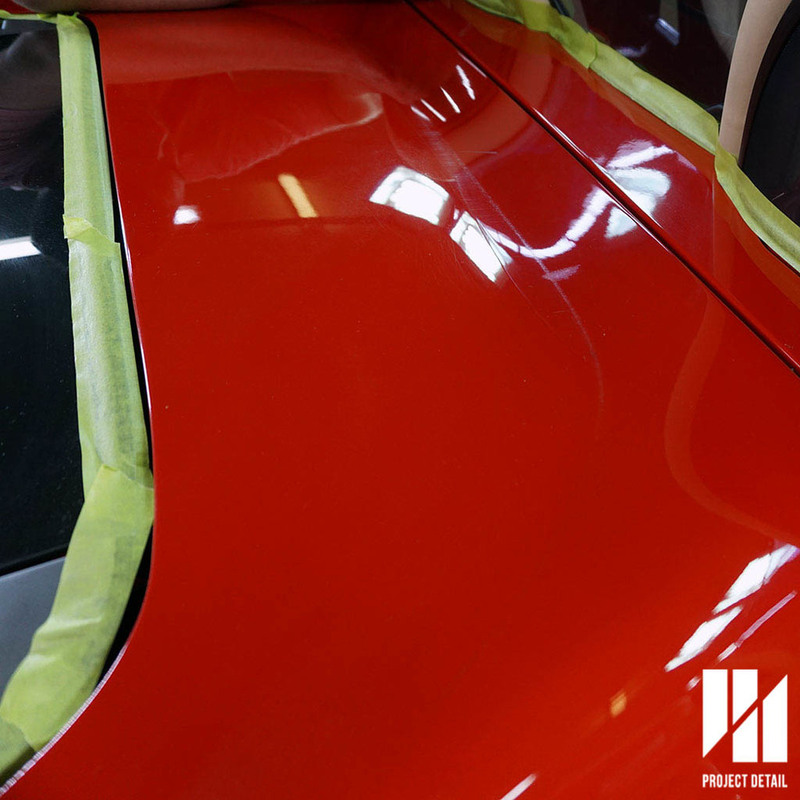 Each panel or wheel was then cured with infrared heating lamps in order to finish the curing process. 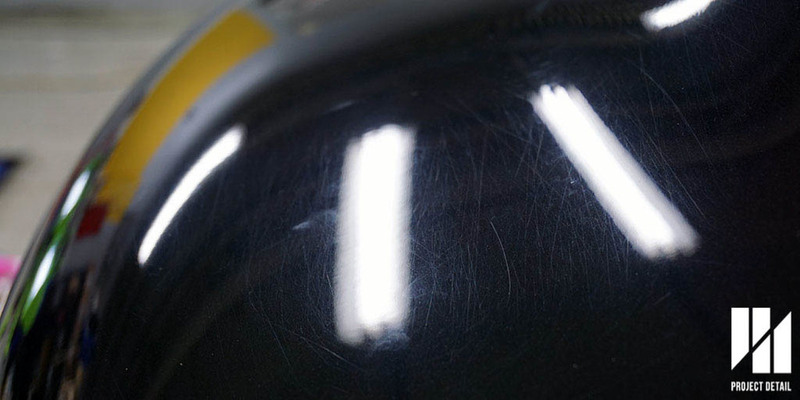 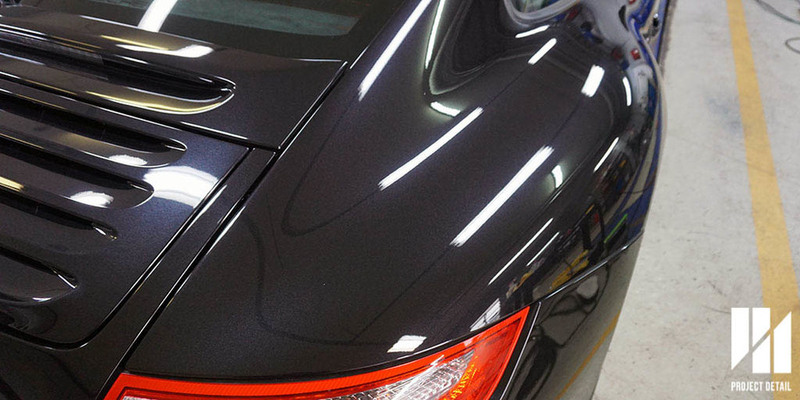 Modesta requires infrared curing in order to achieve the full potential and hardness of the coating. 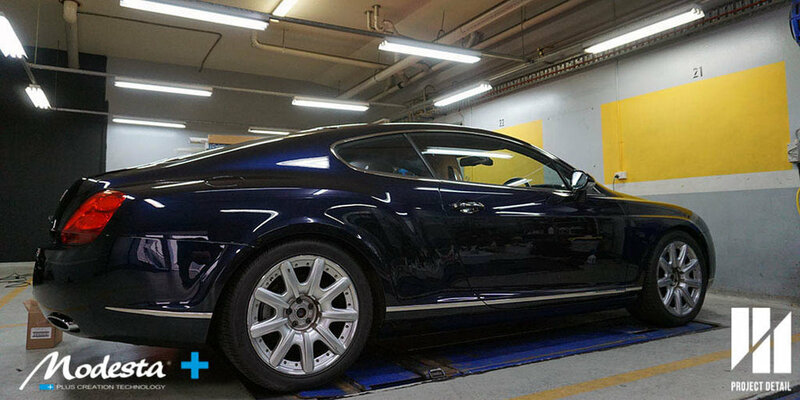 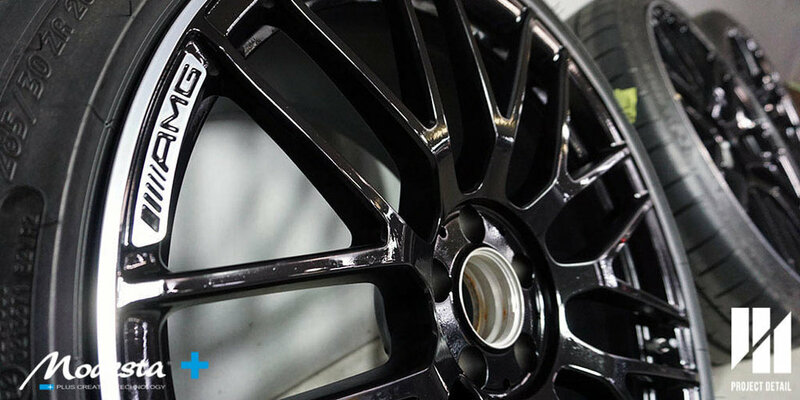 Even each individual wheel is infrared cured, this ensures that the BC-06 gives long lasting protection. 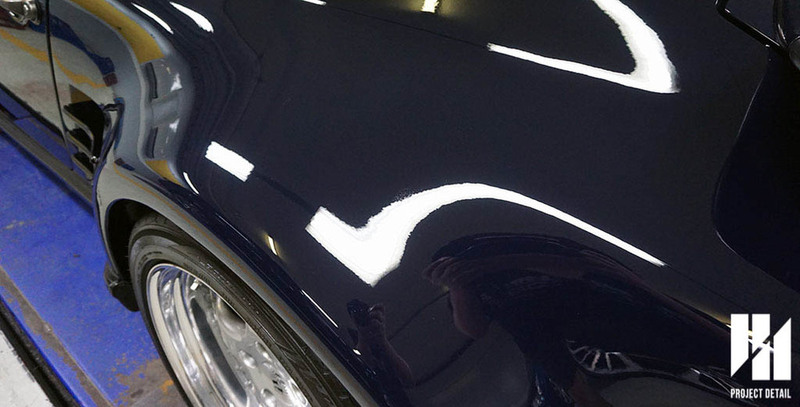 Ongoing maintenance is another important aspect that many other coating companies neglect. 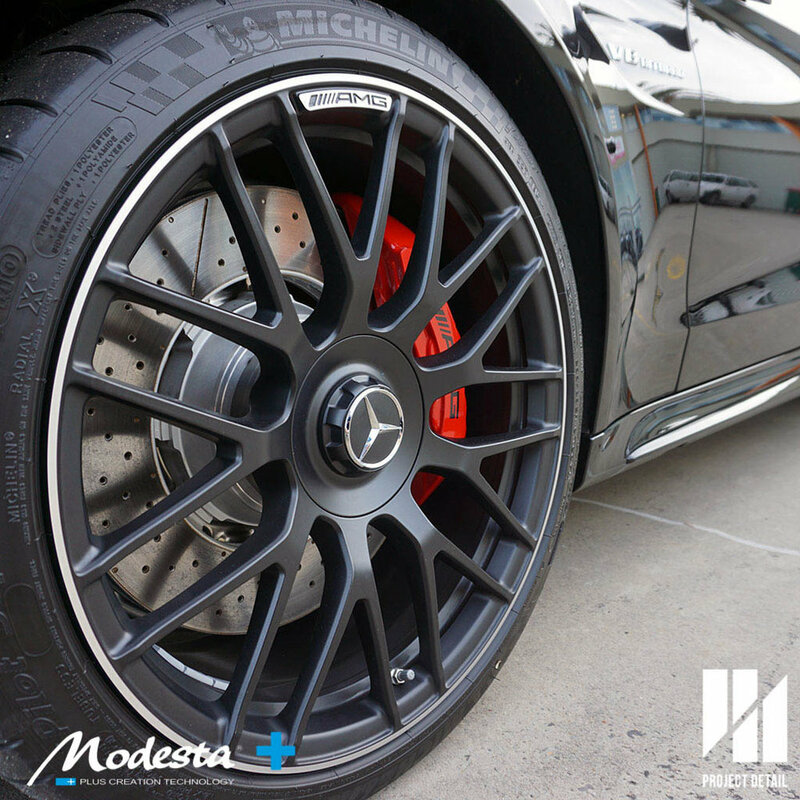 Any coating, even Modesta requires the right care. 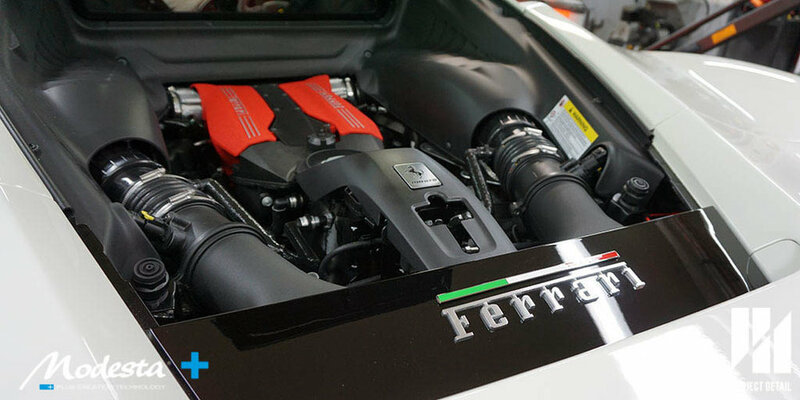 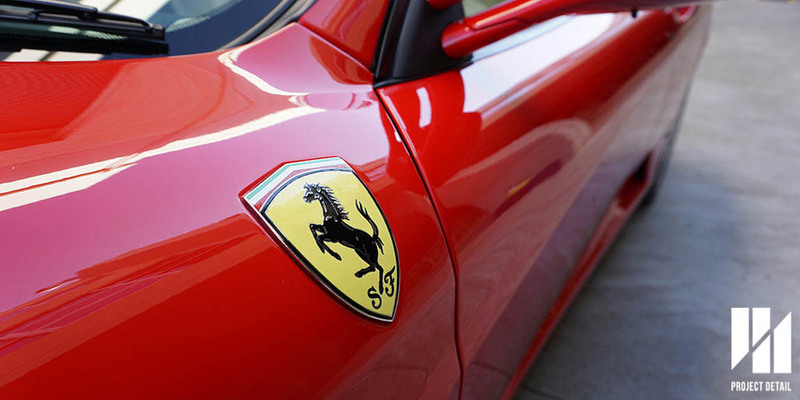 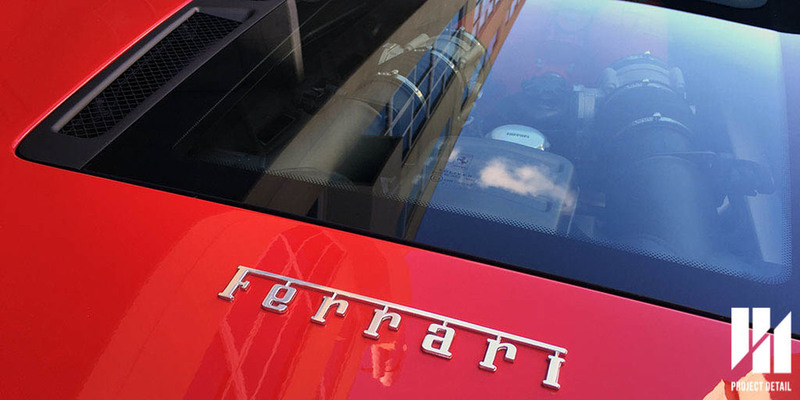 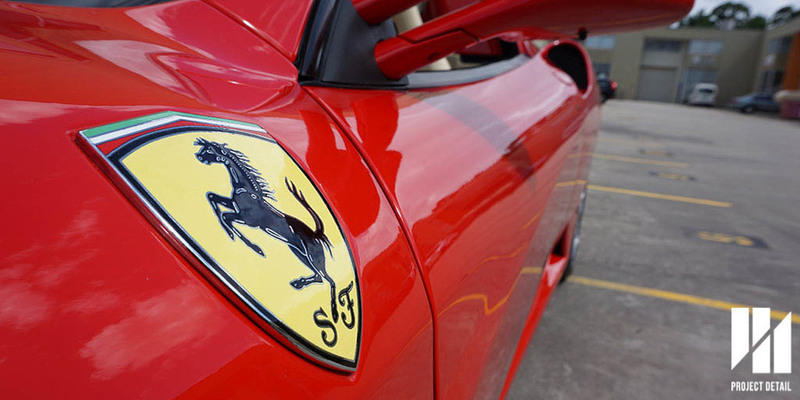 Just as if one were to purchase a Ferrari, the Ferrari would still require servicing and ongoing care. 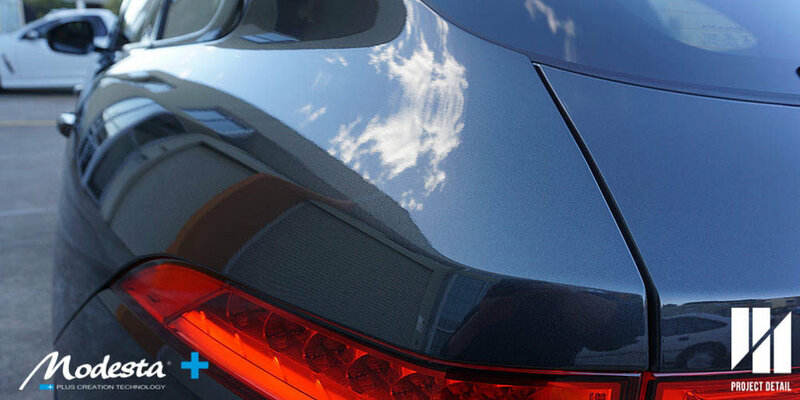 Project Detail can provide this ongoing maintenance for its clients but it also sells a the Maintenance range from Modesta which greatly aids in keeping and getting the most from your coating. 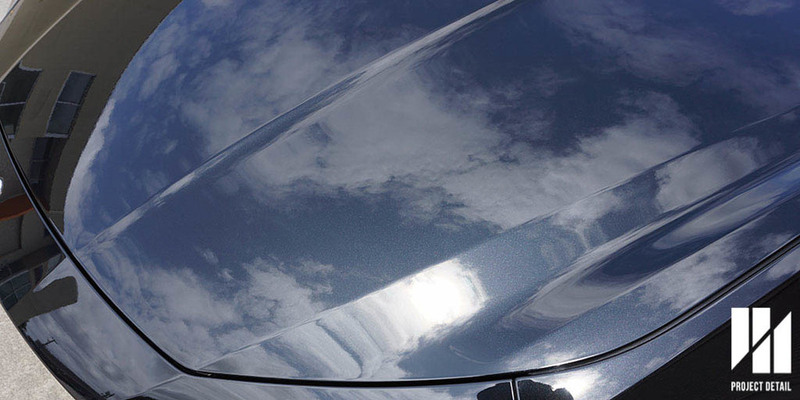 M4 Smoke is a wet applied conditioner designed for your Modesta coating. 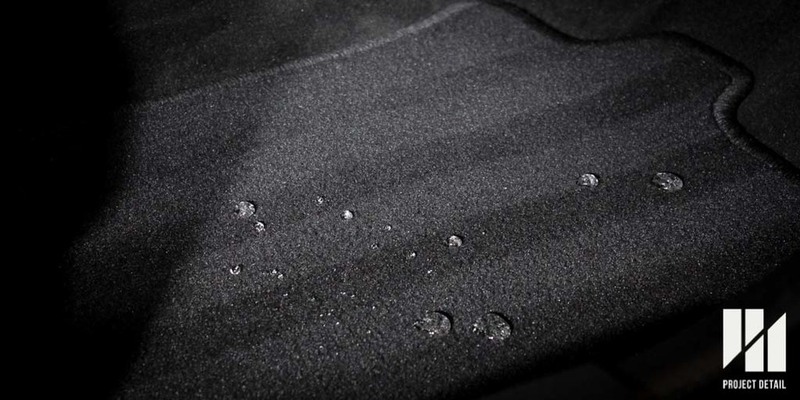 It preserves and prolongs the water behaviour on the surface of your vehicle. 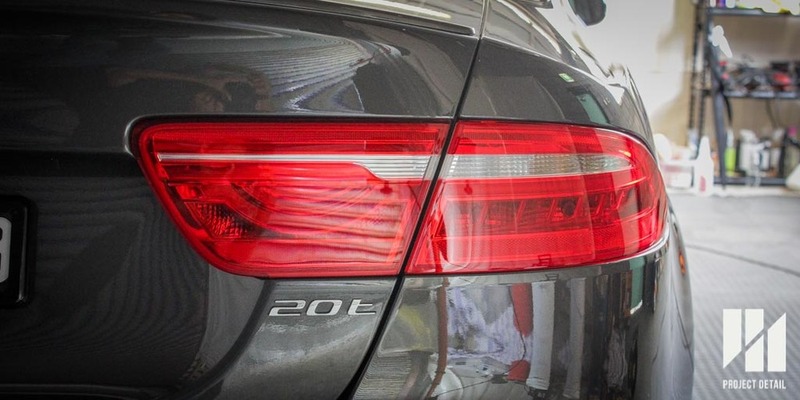 Project Detail has been maintaining this particular Audi RS3 for over a year, the owner has been very impressed and the car has remained in great condition for a long period of time. 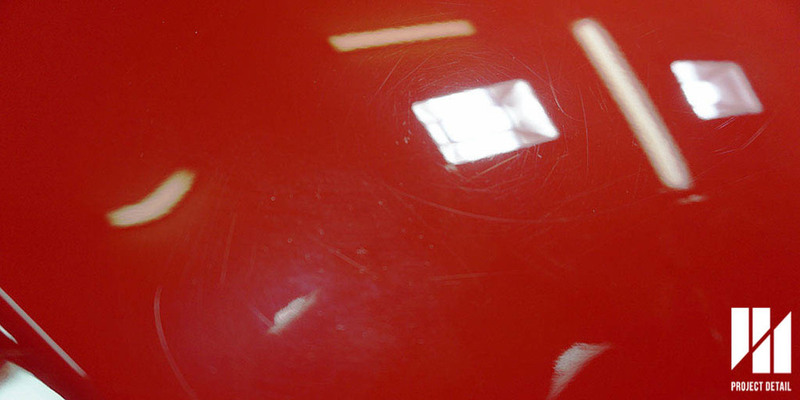 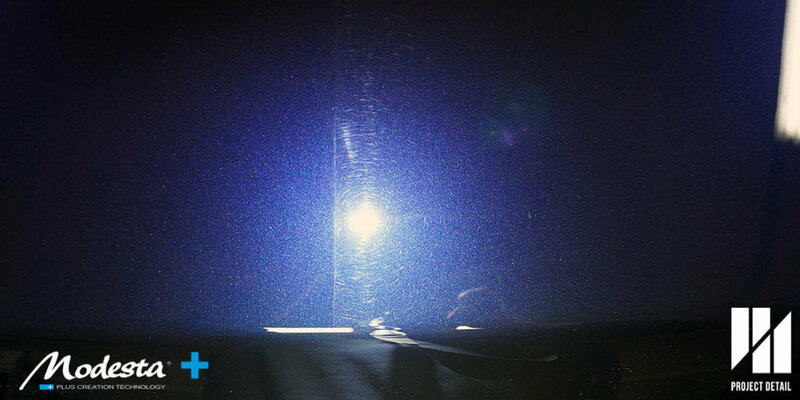 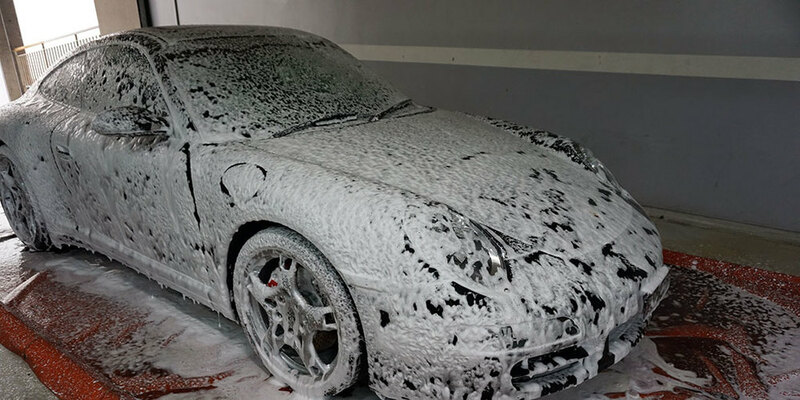 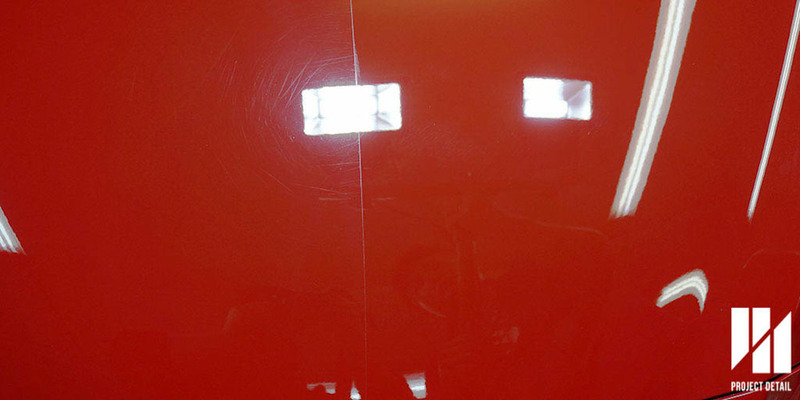 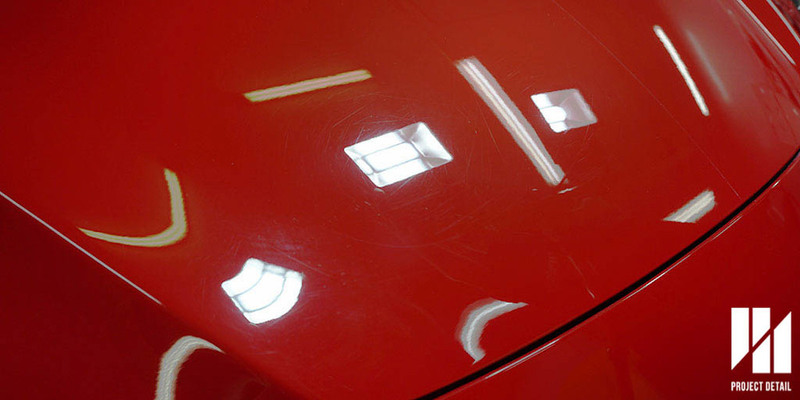 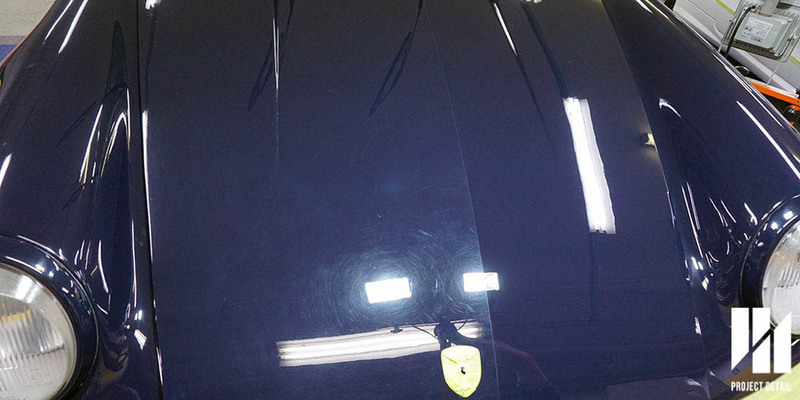 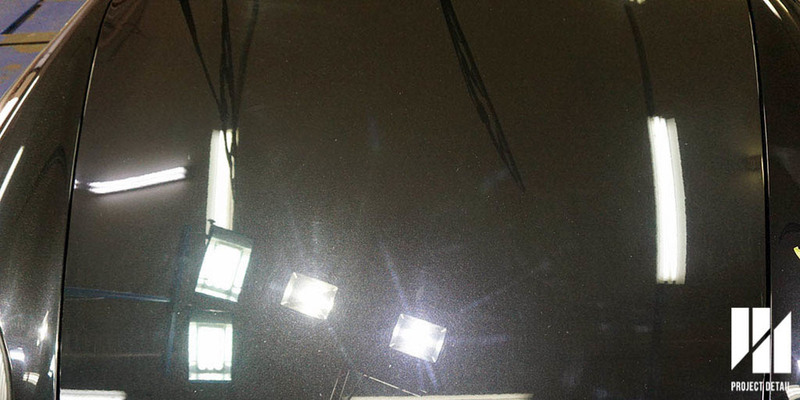 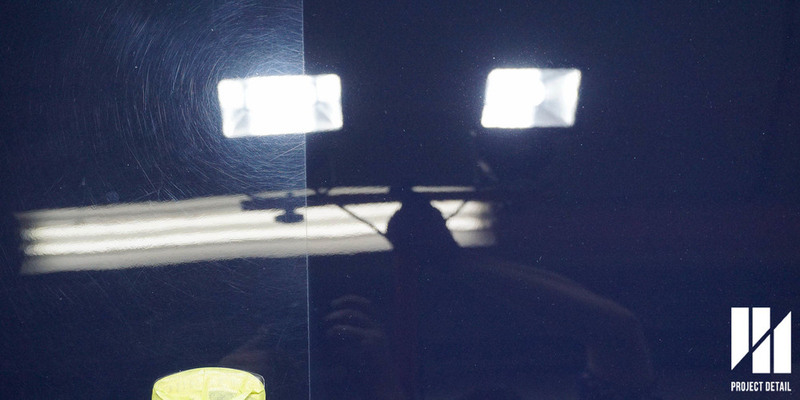 Occasionally the car will require more intensive maintenance since it is a white coloured vehicle, areas such as tree sap, tar or iron fall out can be removed through the right detailing techniques preserving the coating underneath. 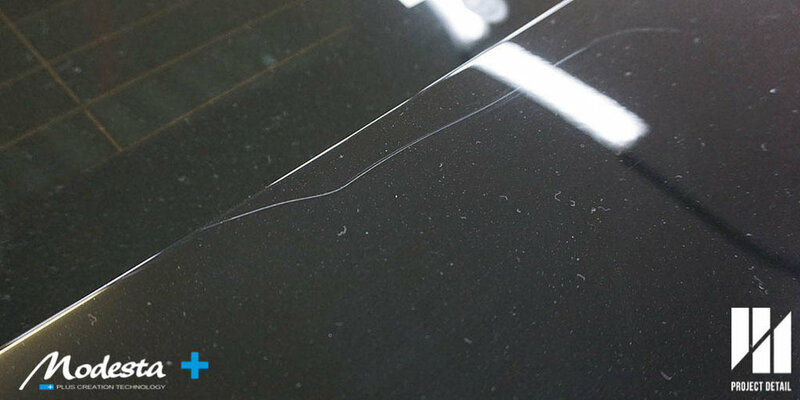 1 year later, the surface of the RS3 remains bright, glossy and still sheets and repels water. 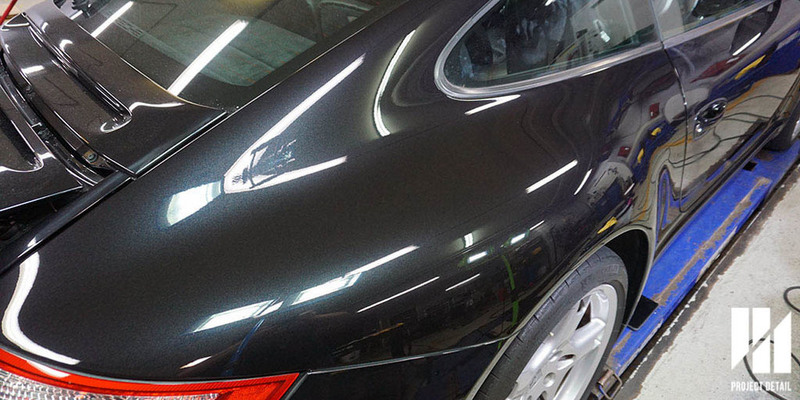 3 Stage Paint Correction, Full Wrap PPF & Coating Extras. 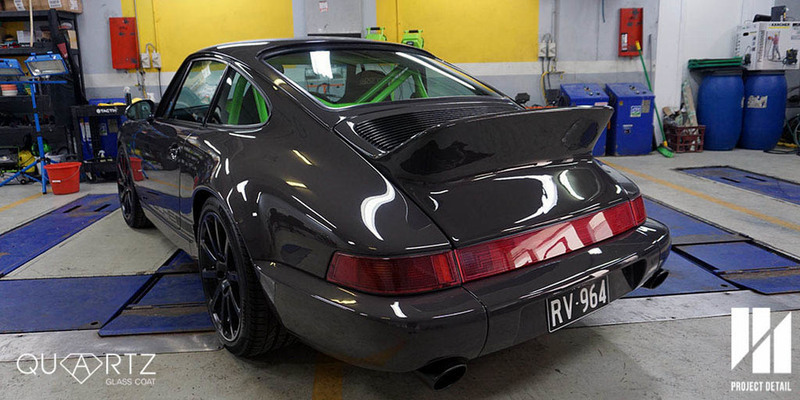 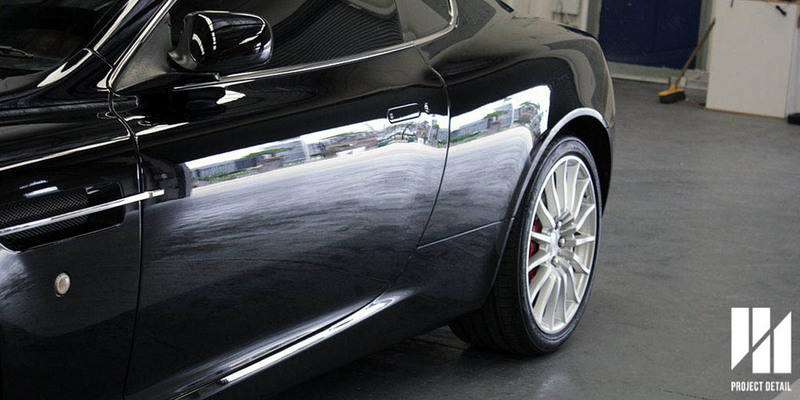 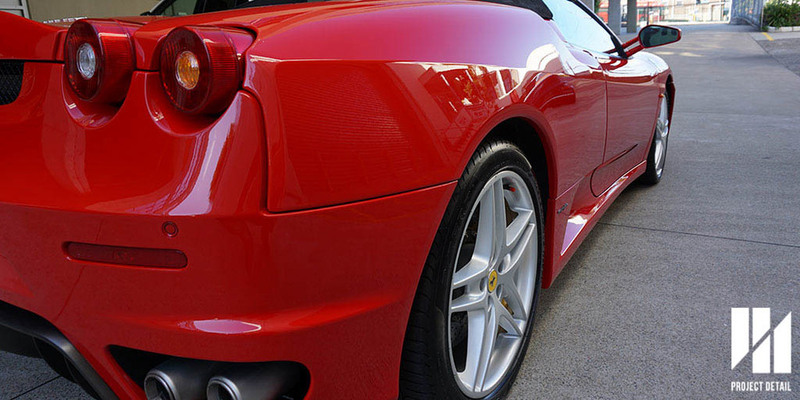 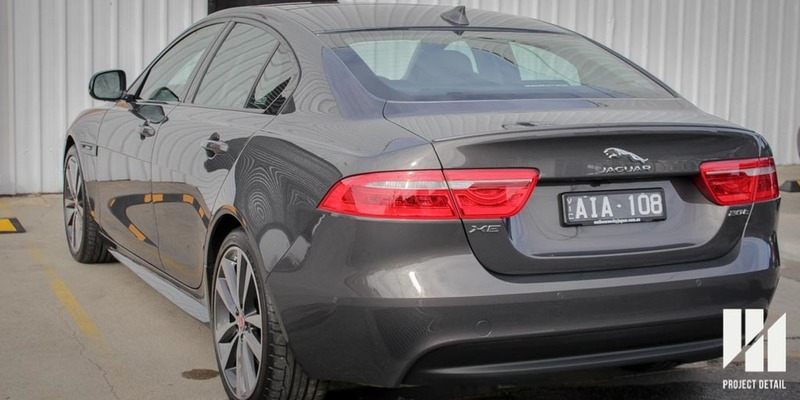 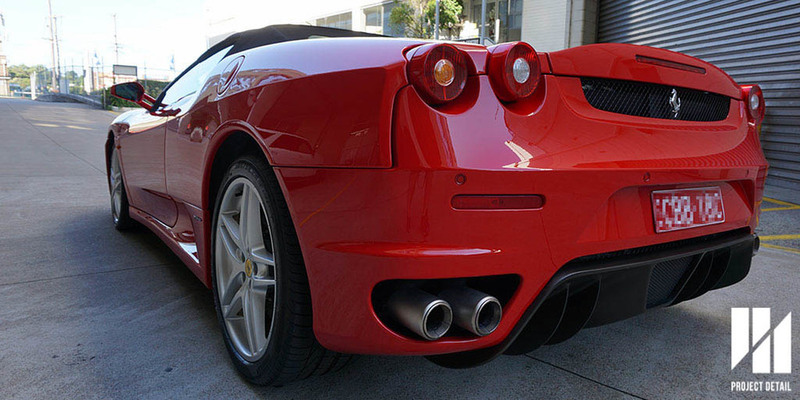 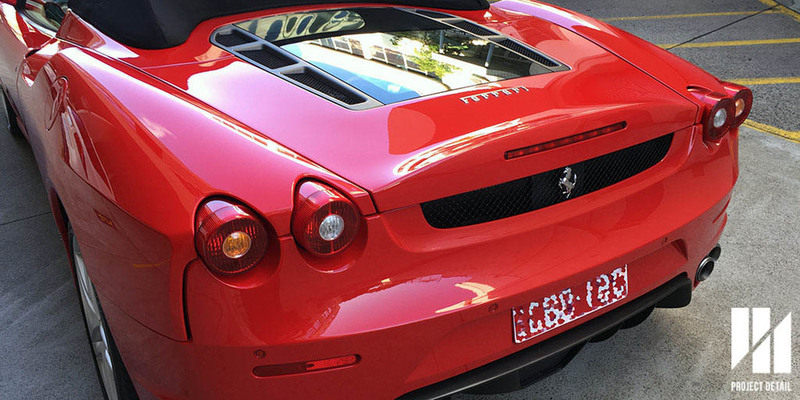 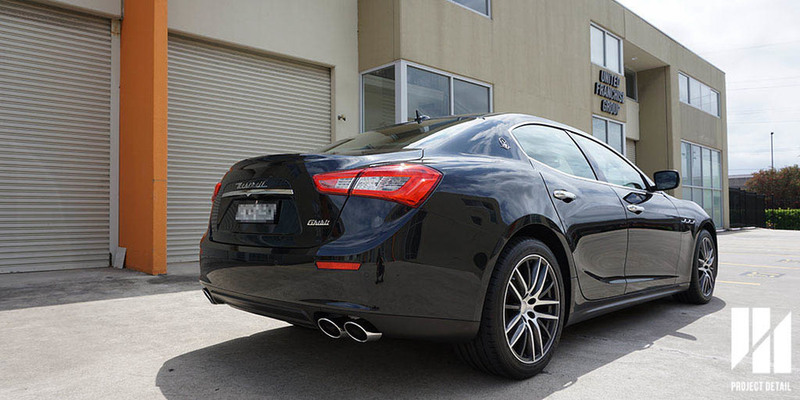 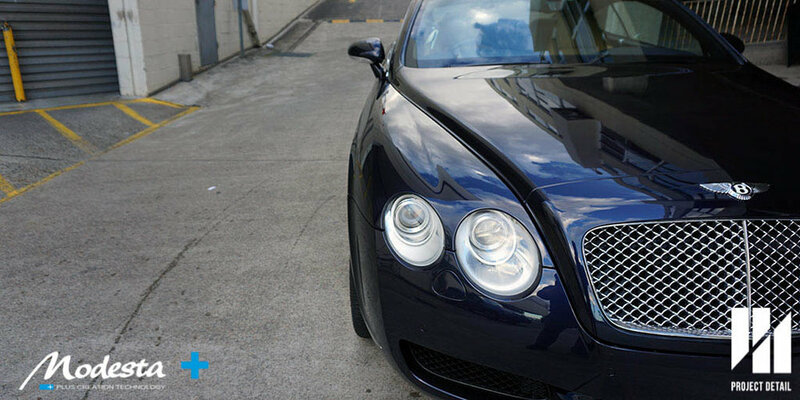 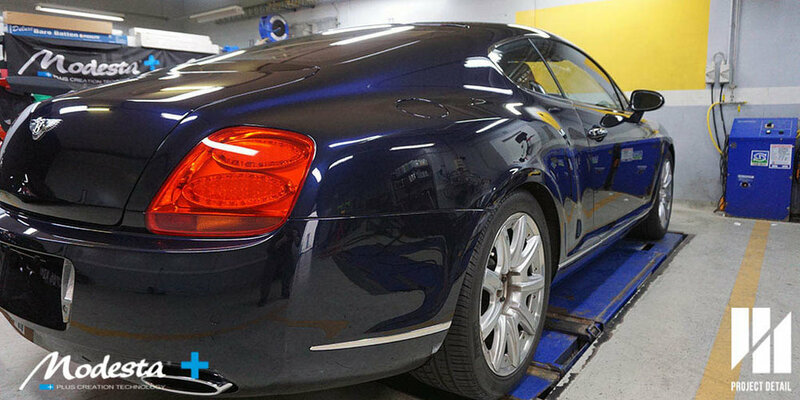 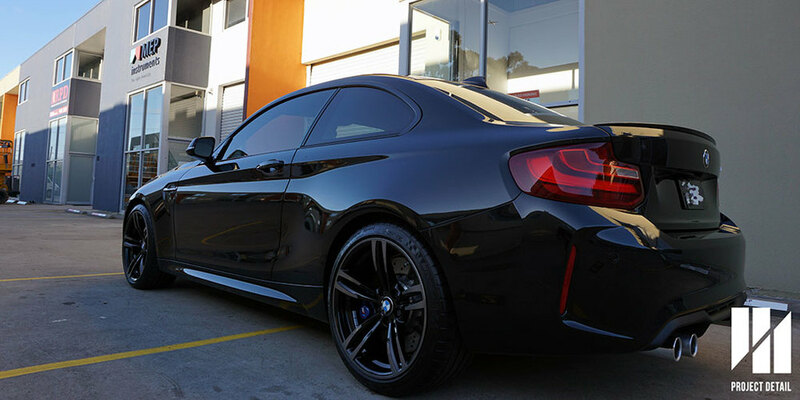 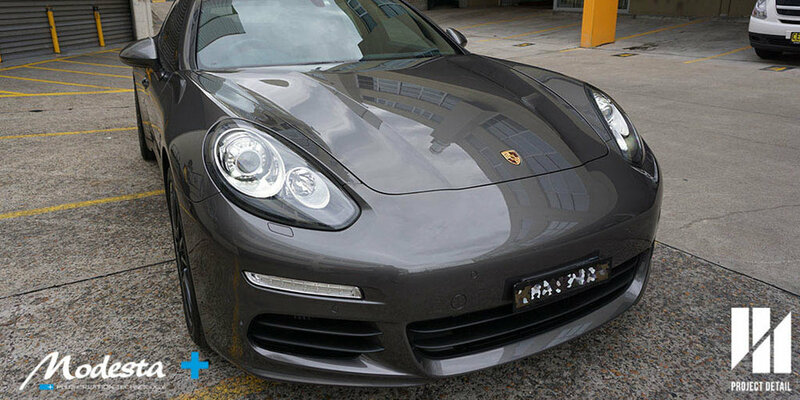 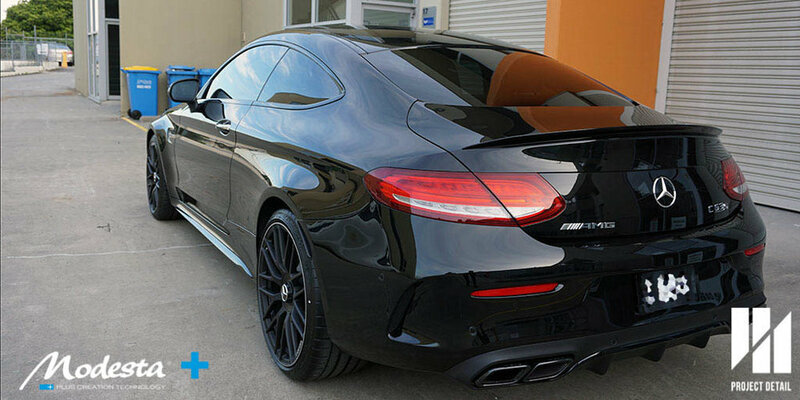 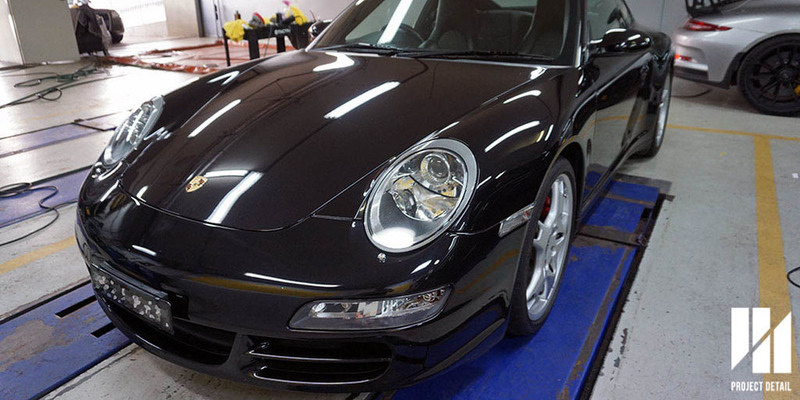 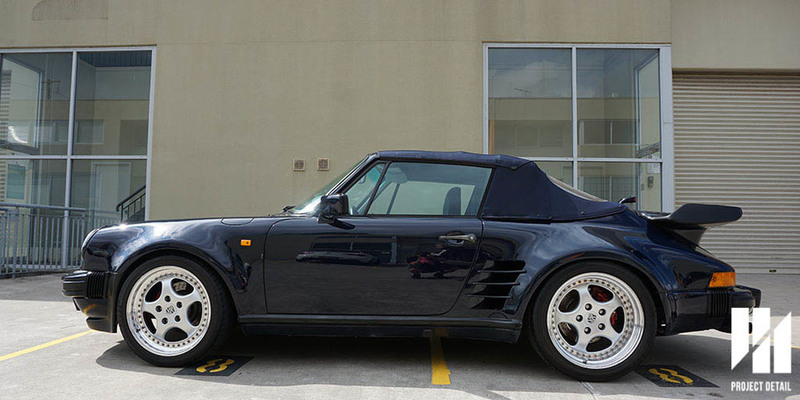 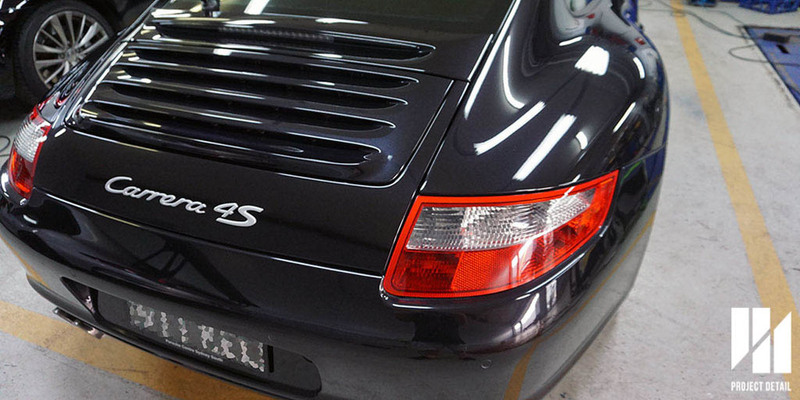 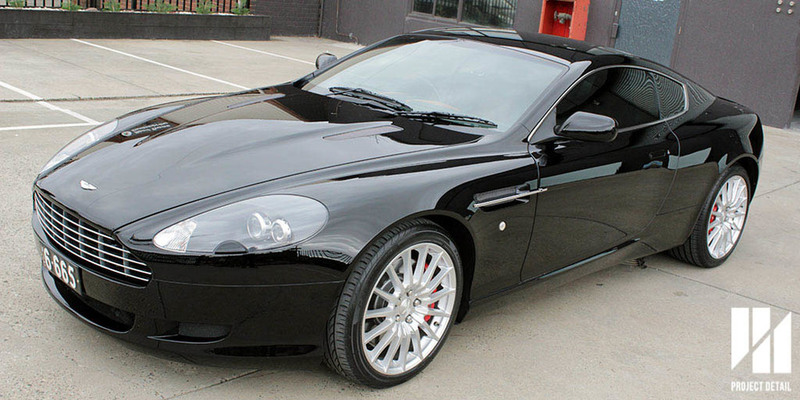 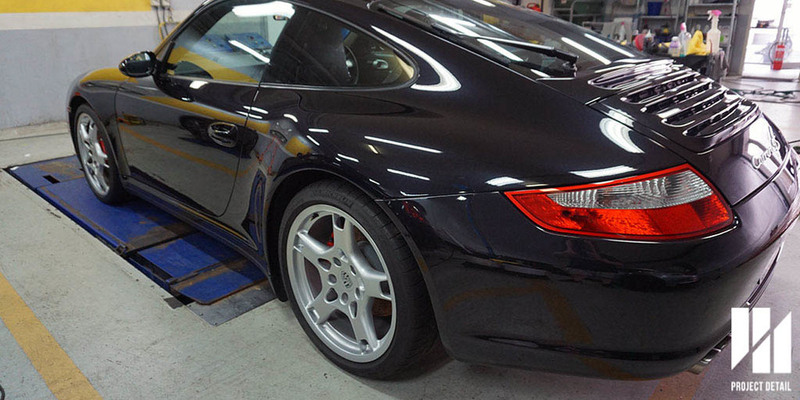 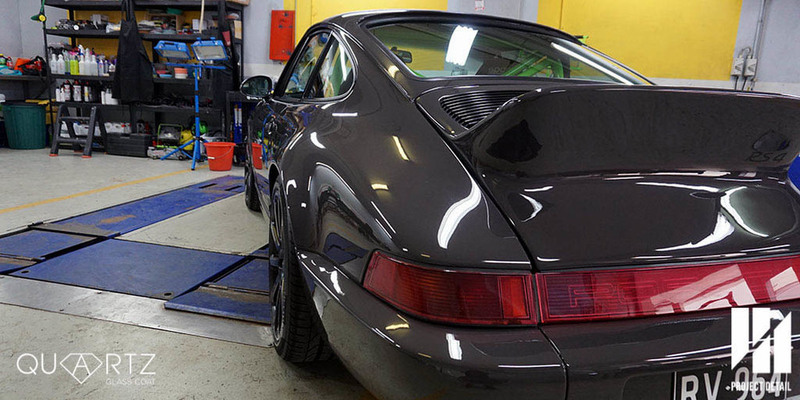 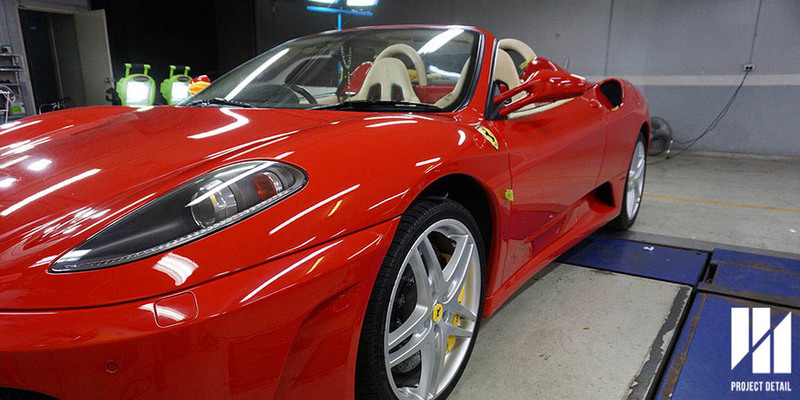 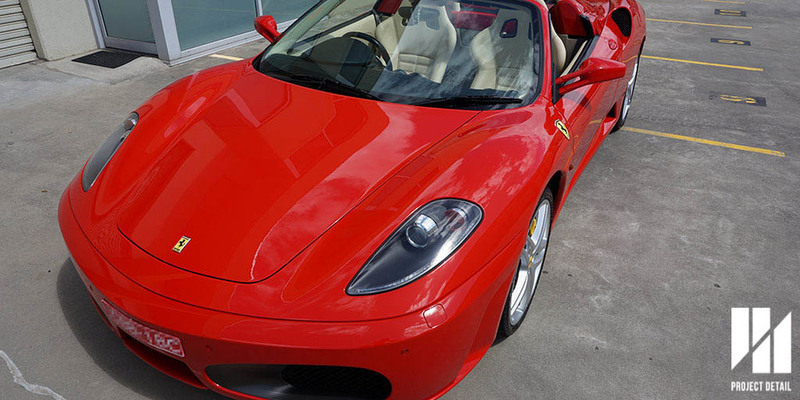 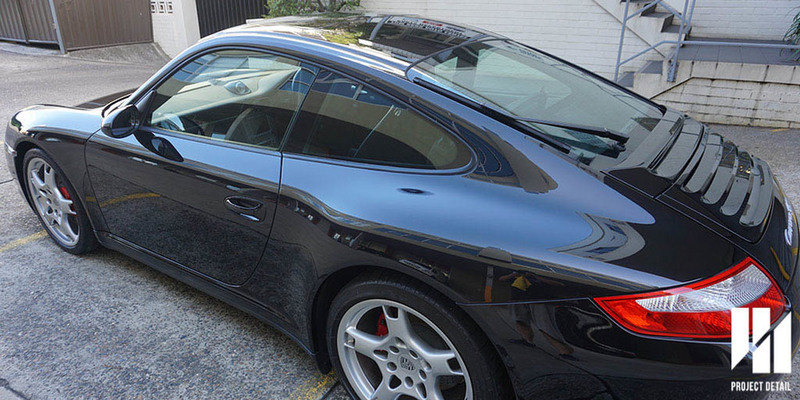 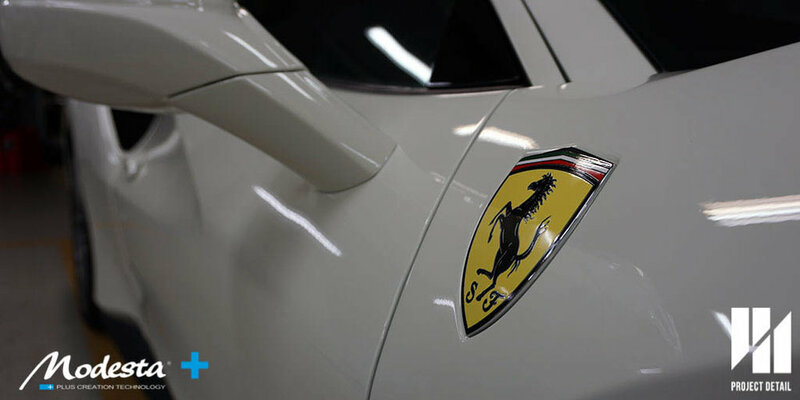 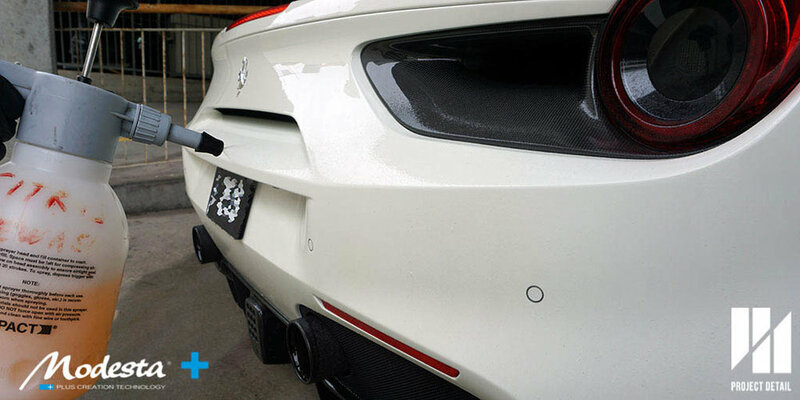 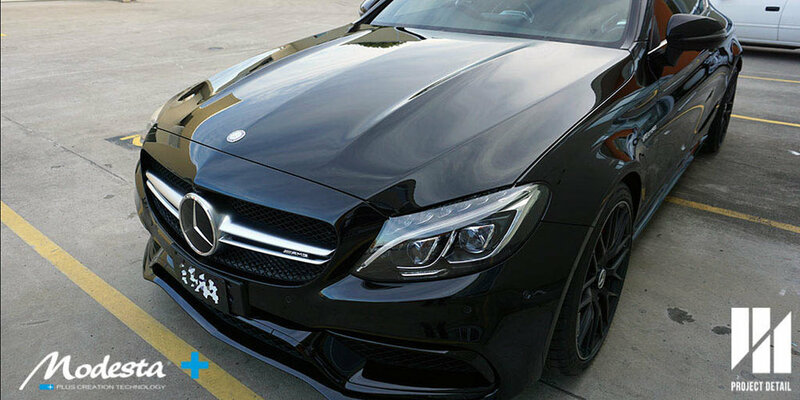 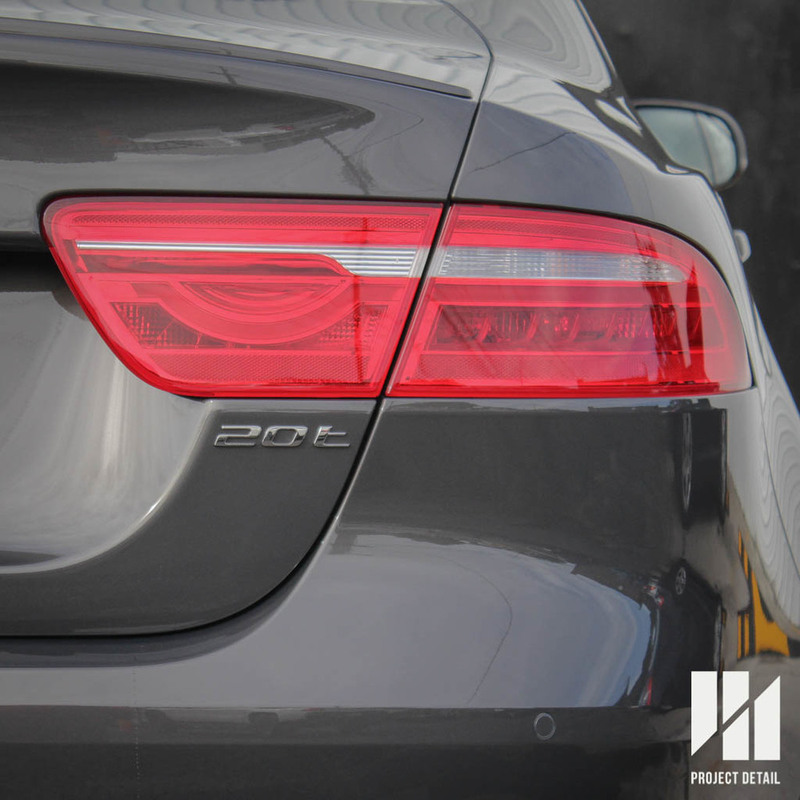 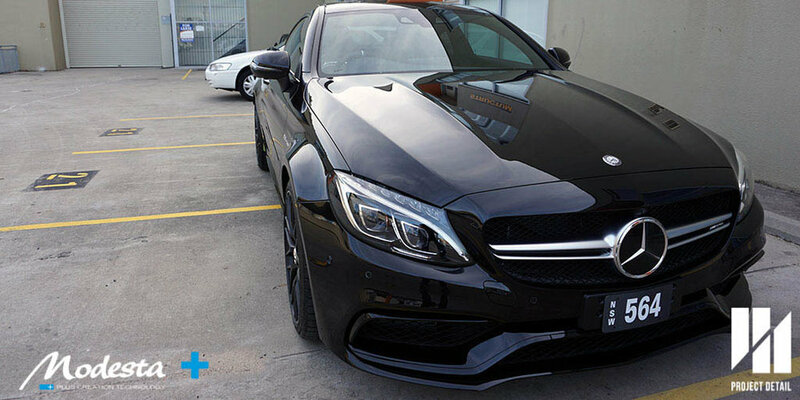 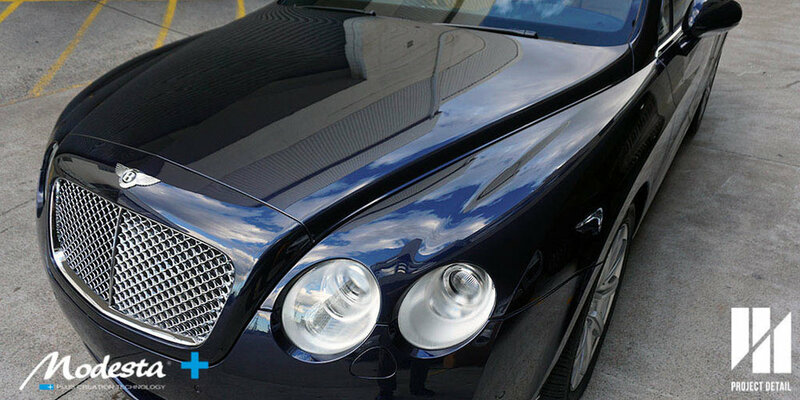 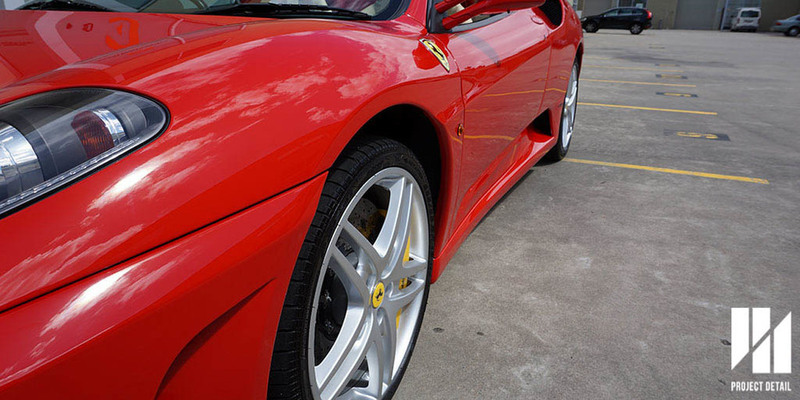 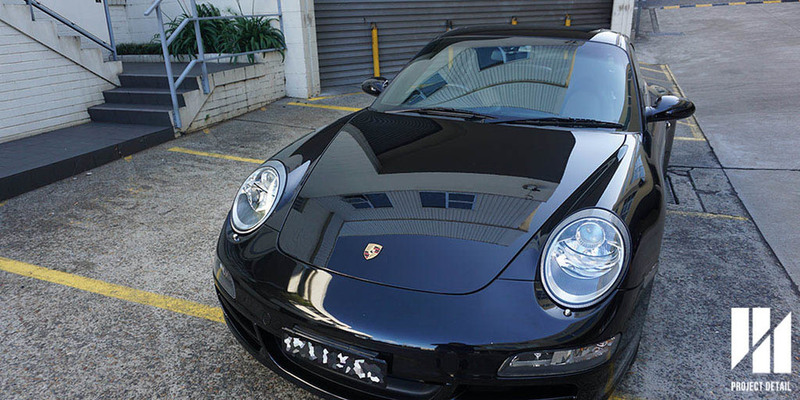 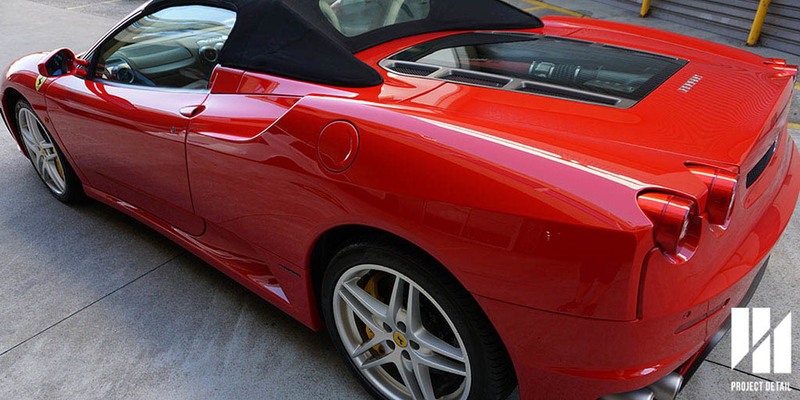 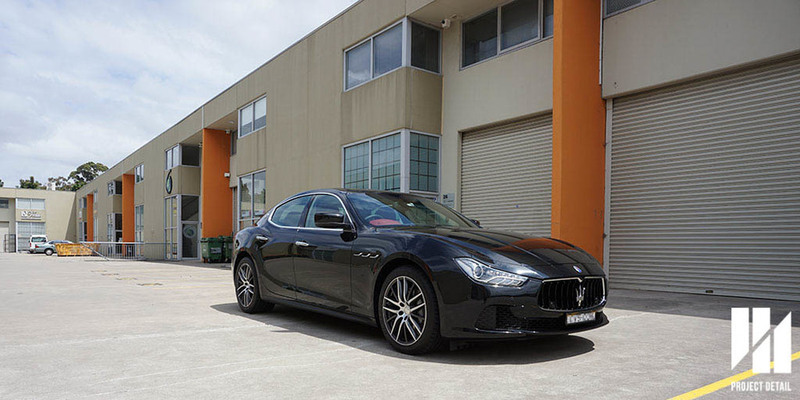 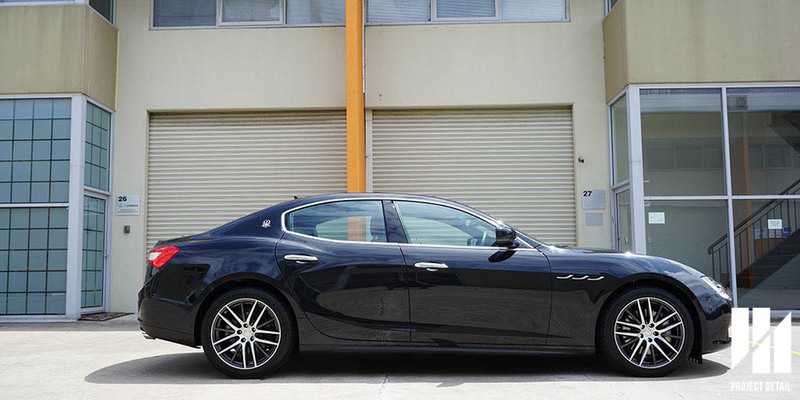 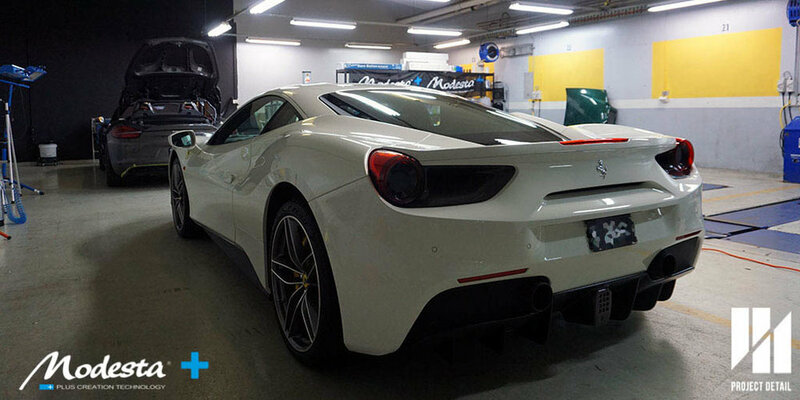 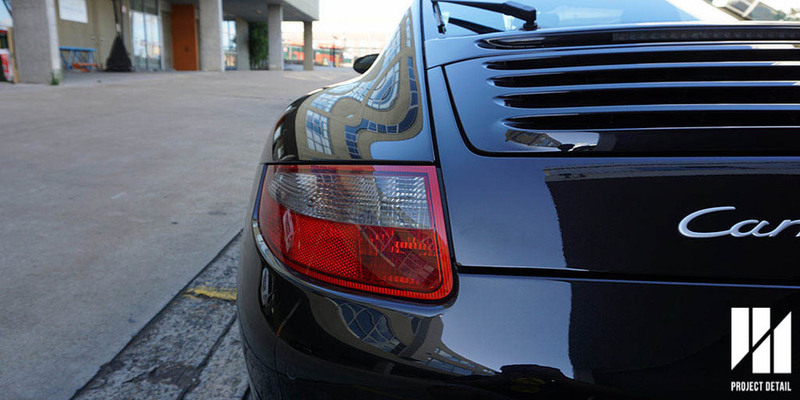 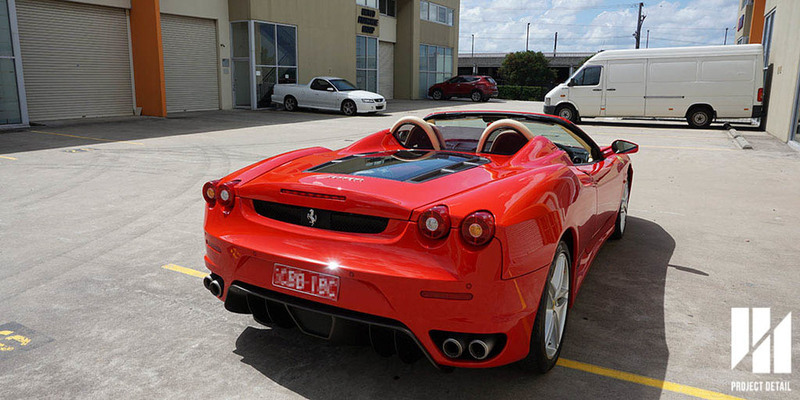 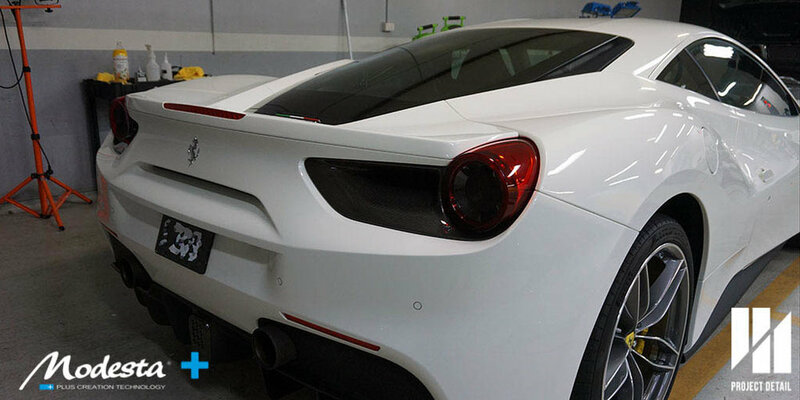 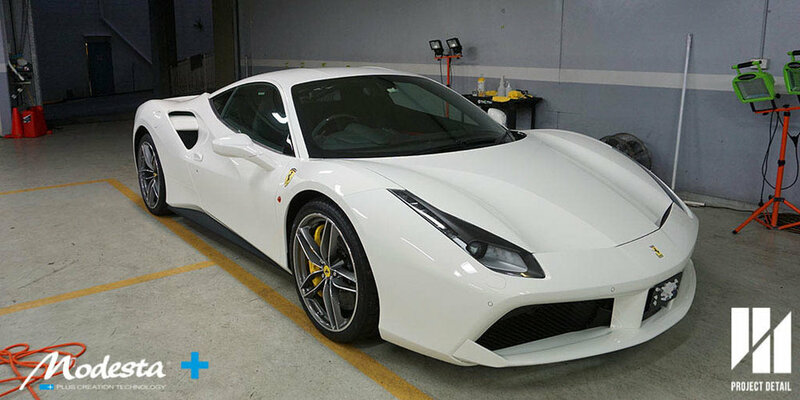 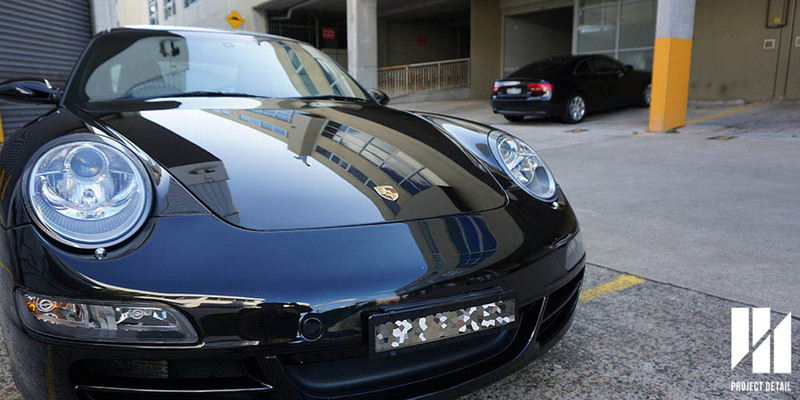 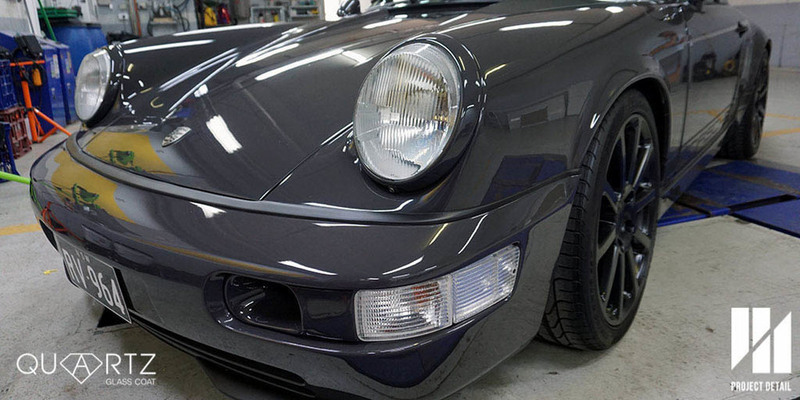 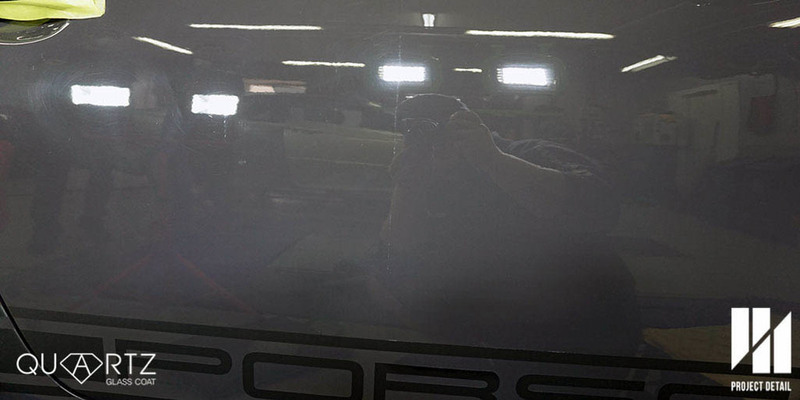 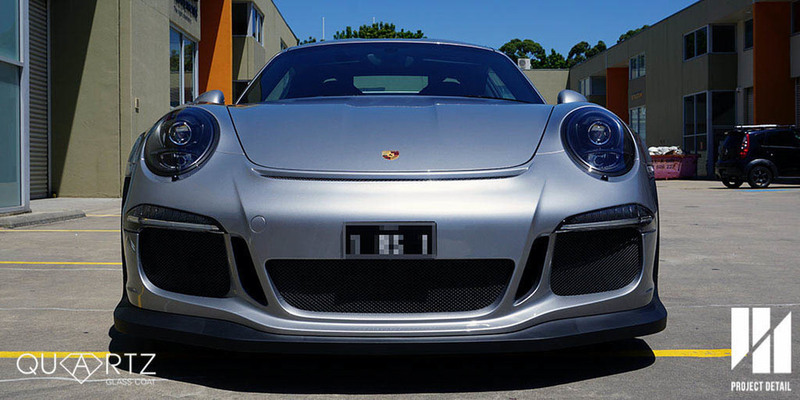 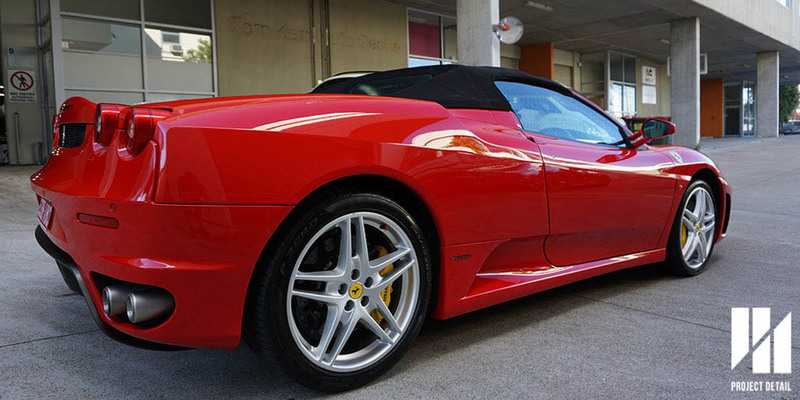 Focussing on high end car detailing in Sydney, Project Detail has a specialised workshop located in Gladesville that is secure and insured to look after your vehicle. 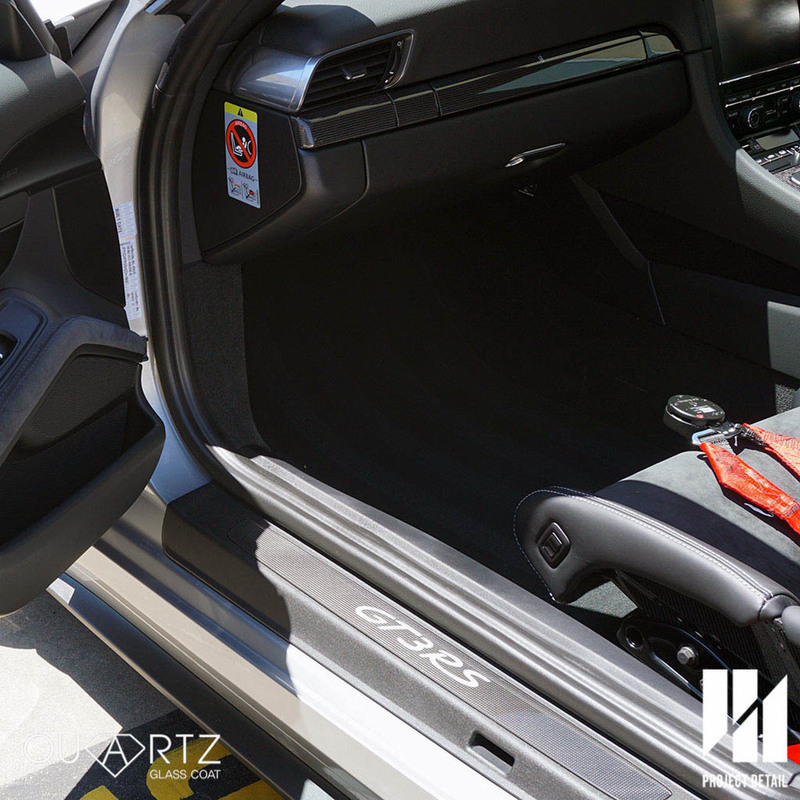 We are open 7 days, have access to hot water washing and vehicle hoists to provide a different level of service that your car deserves. 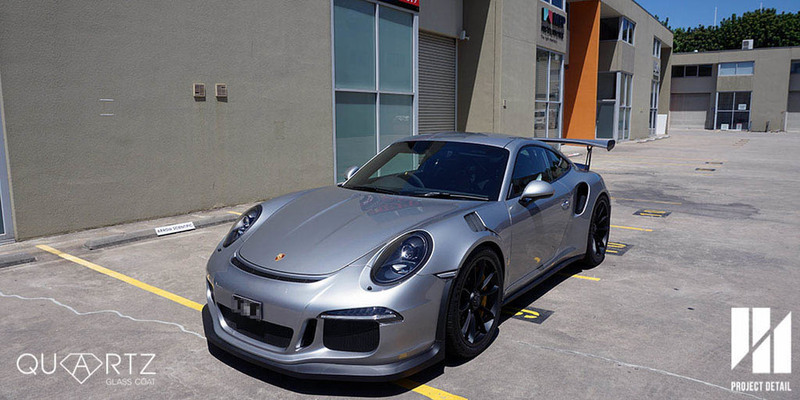 We were fortunate enough to be able to work on this 2015/16 Porsche 911 991 GT3 RS. 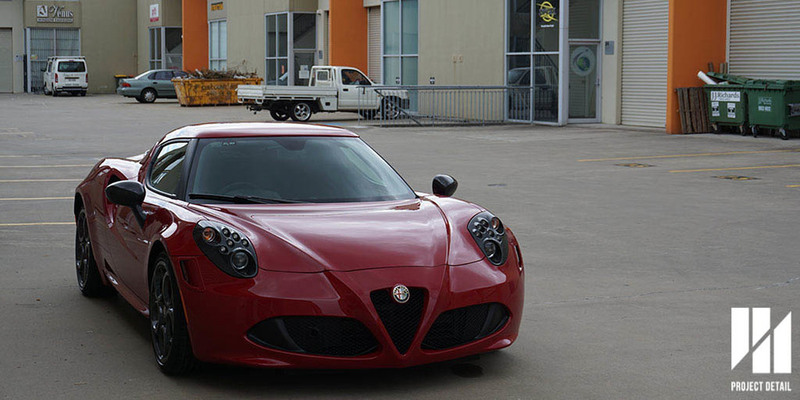 This vehicle is extremely rare, being only 1 of 20 coming to the country. 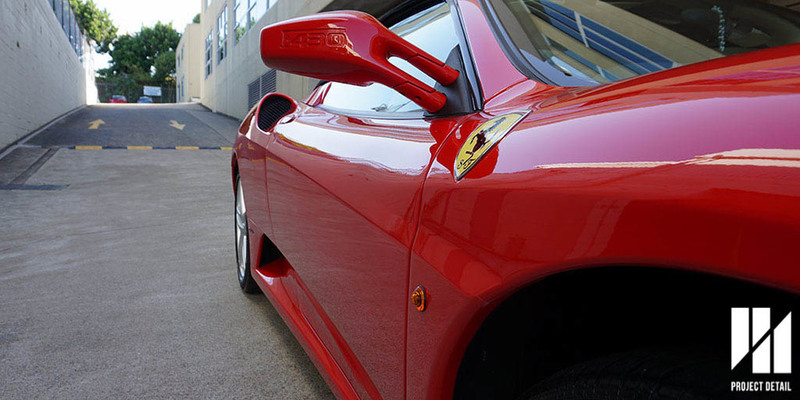 Even before arrival, it was touted that the value of the car had appreciated over $200,000 already. 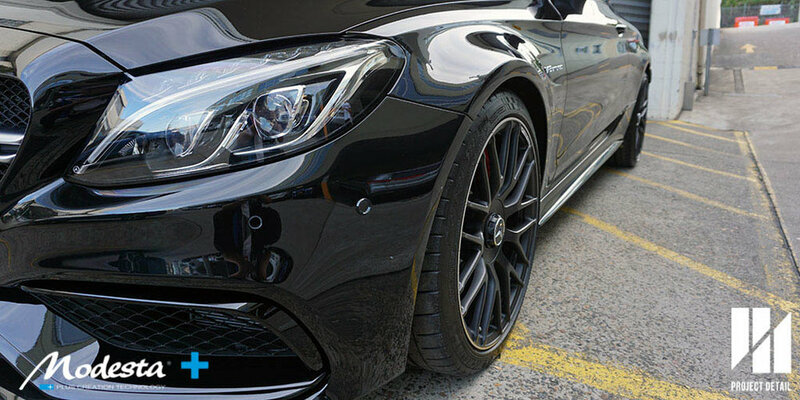 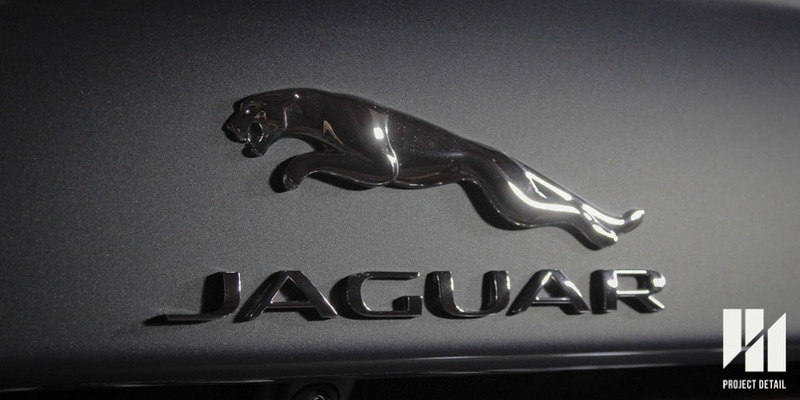 Such is the value and sentiment behind these vehicles that the level of service has to be customised to provide results for a long period of time for the owner. 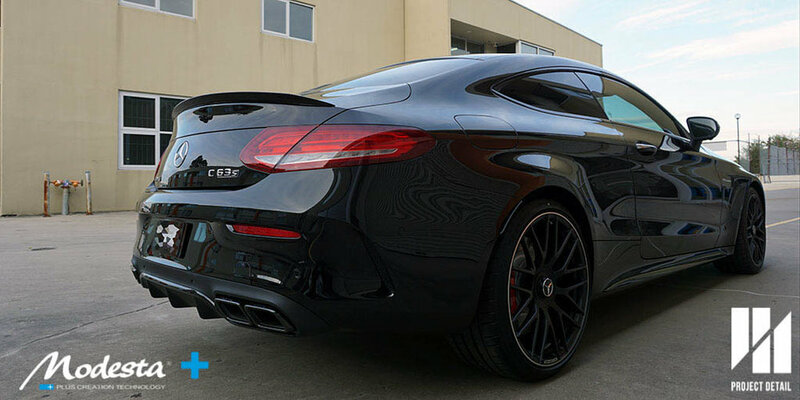 All the numbers and statistics behind this vehicle are mind blowing, the rear wheels are a whopping 21" in diameter and are 325's wide and supported with carbon ceramic brakes with massive brakes. 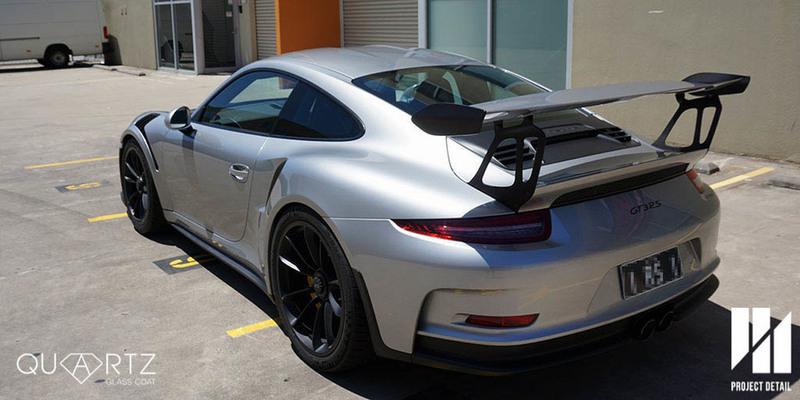 The majority of the body is constructed in the most beautiful carbon fibre (visible when opening the boot,) the roof is magnesium construction and the rear windows are made from perspex all in the name of saving weight and improving lap times. 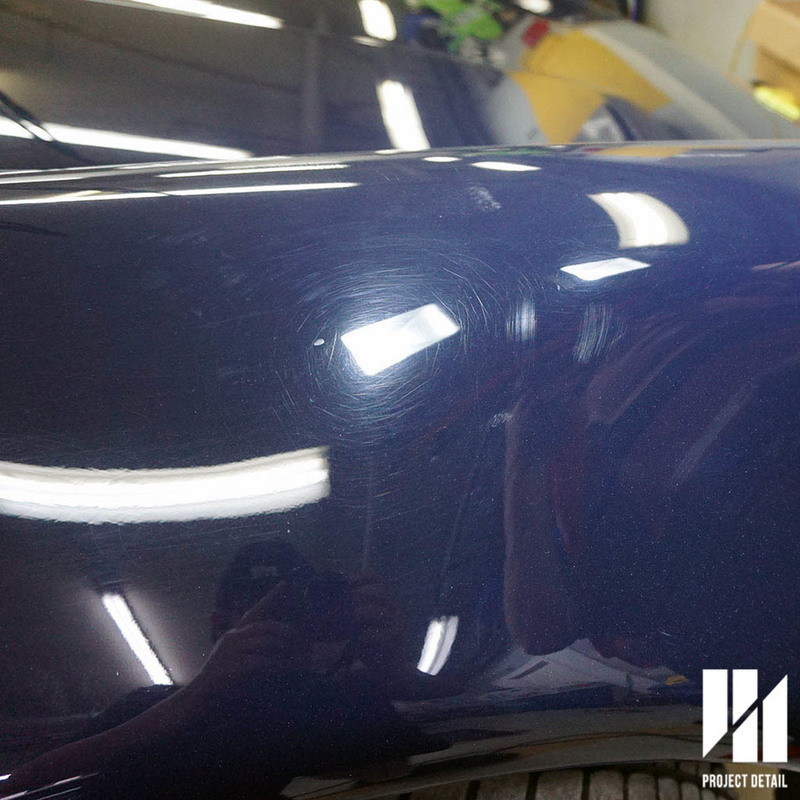 The owner intended to track this vehicle regularly and asked us what the best results would be for protecting the vehicle. 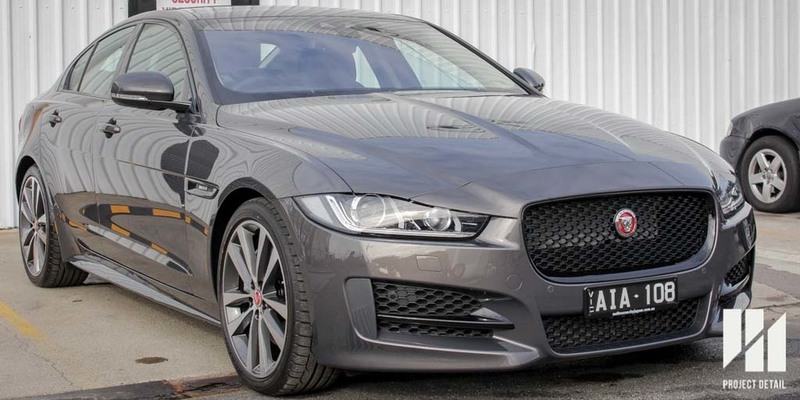 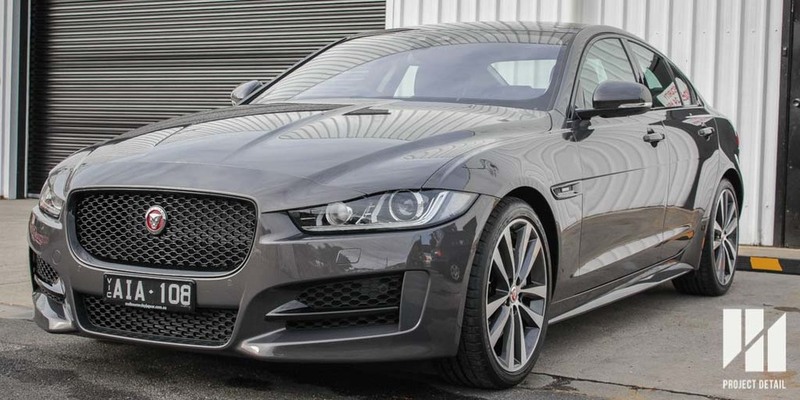 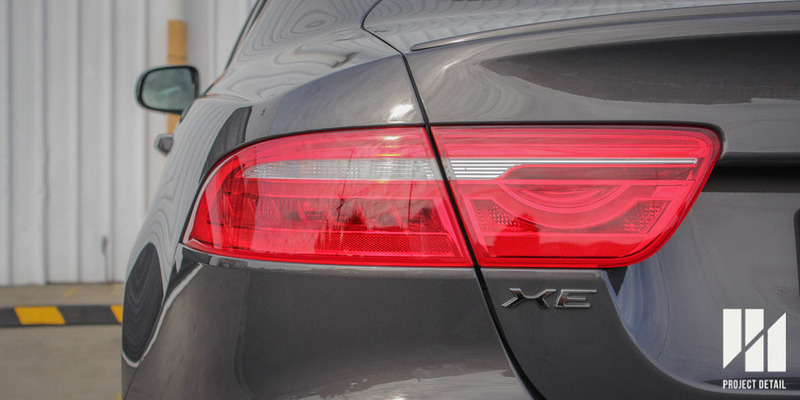 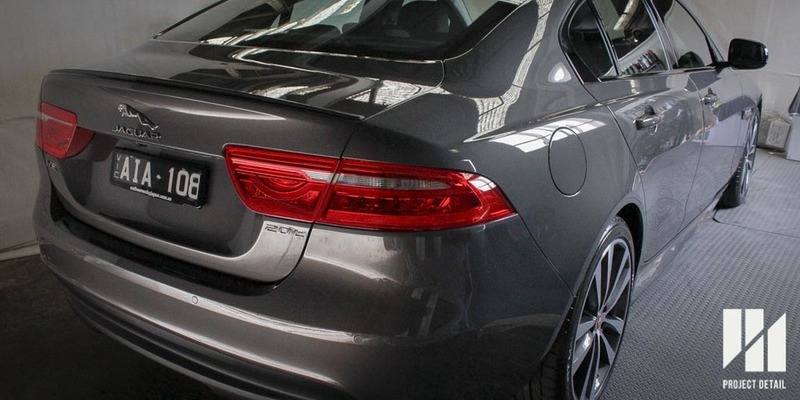 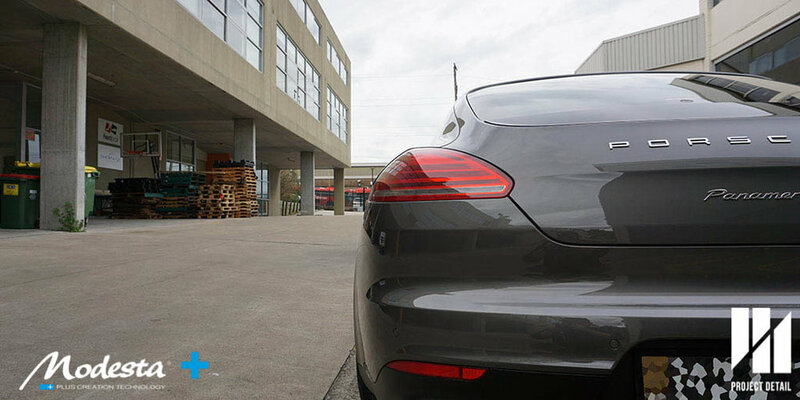 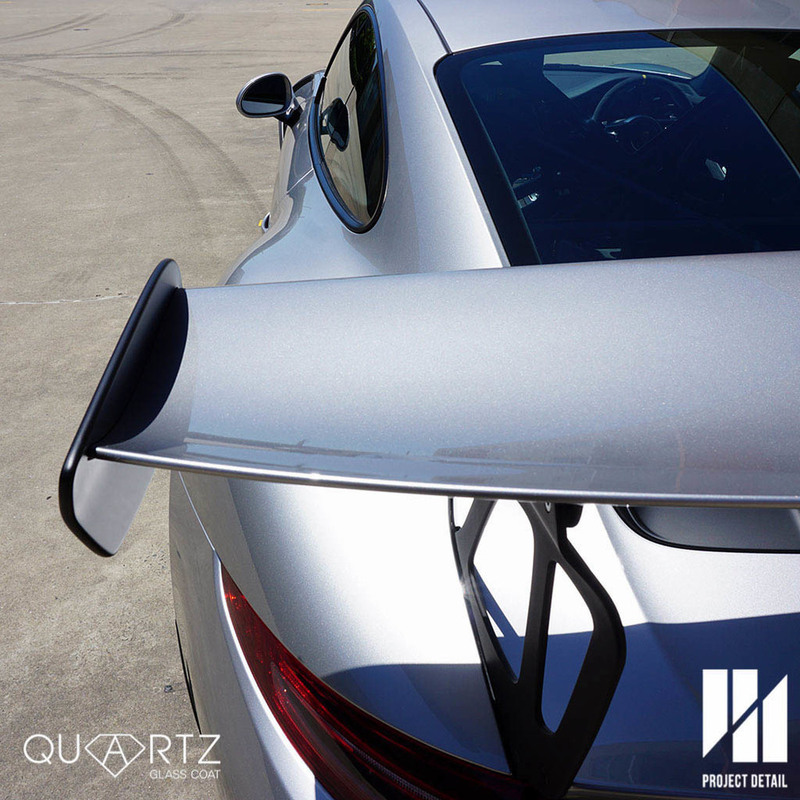 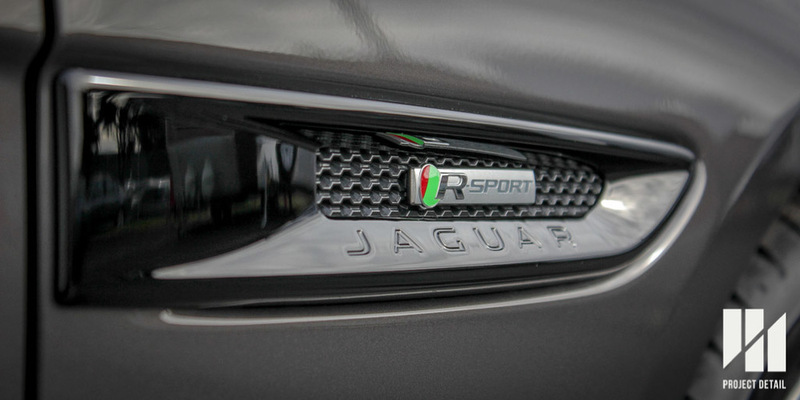 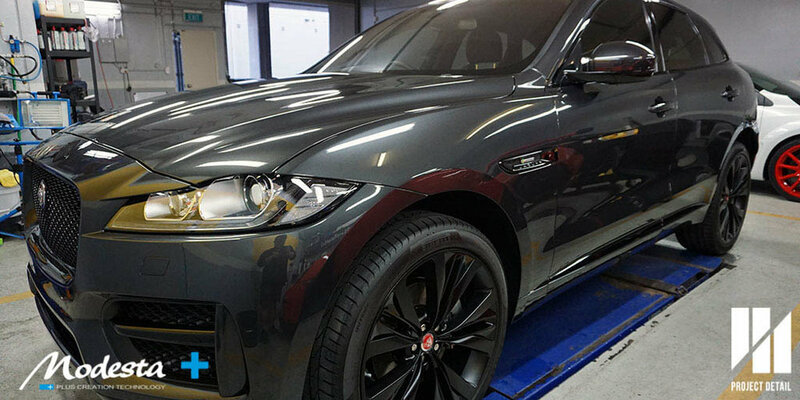 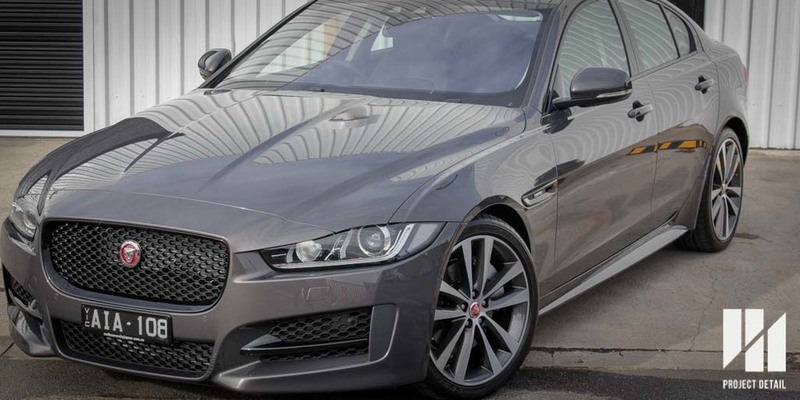 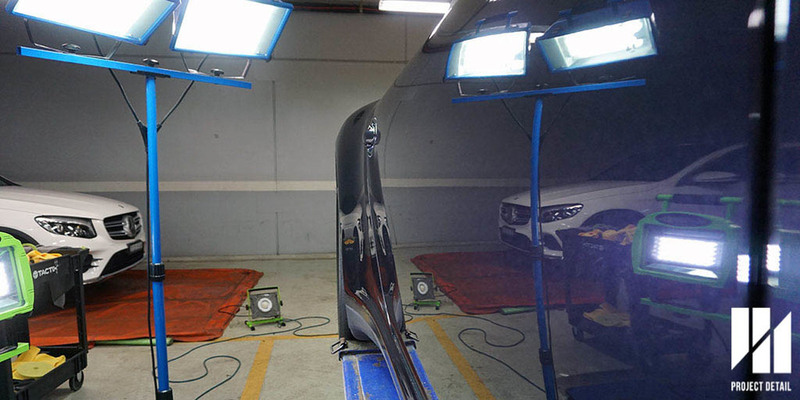 In this instance, we suggested a full body wrap in PPF (Paint Protection Film) in order to provide strong resistance against stone chips striking the vehicle at high speeds and and physical abrasions that may occur with rubber etc around a track. 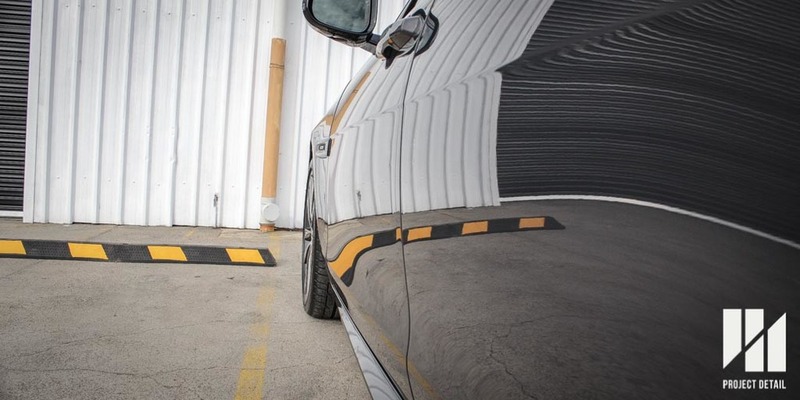 Even with city driving, the vehicle is well protected against stray trolleys and doors opening. 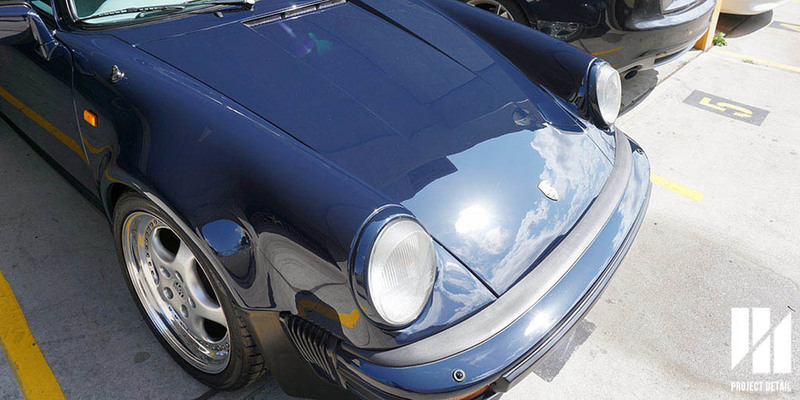 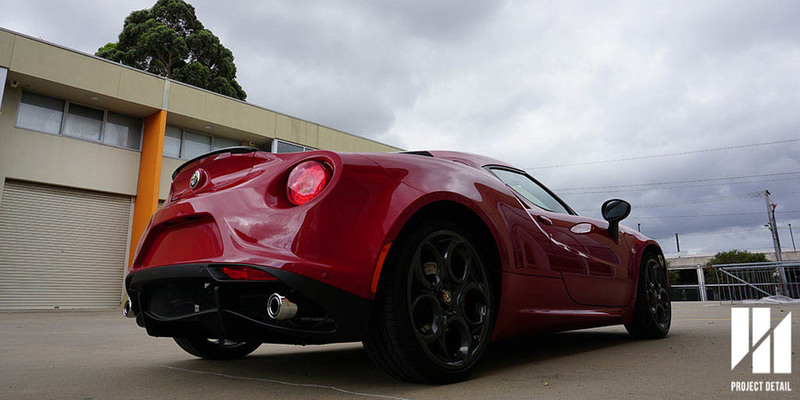 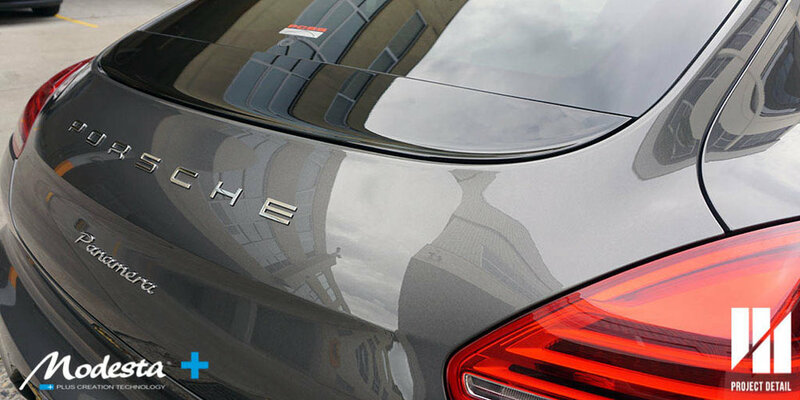 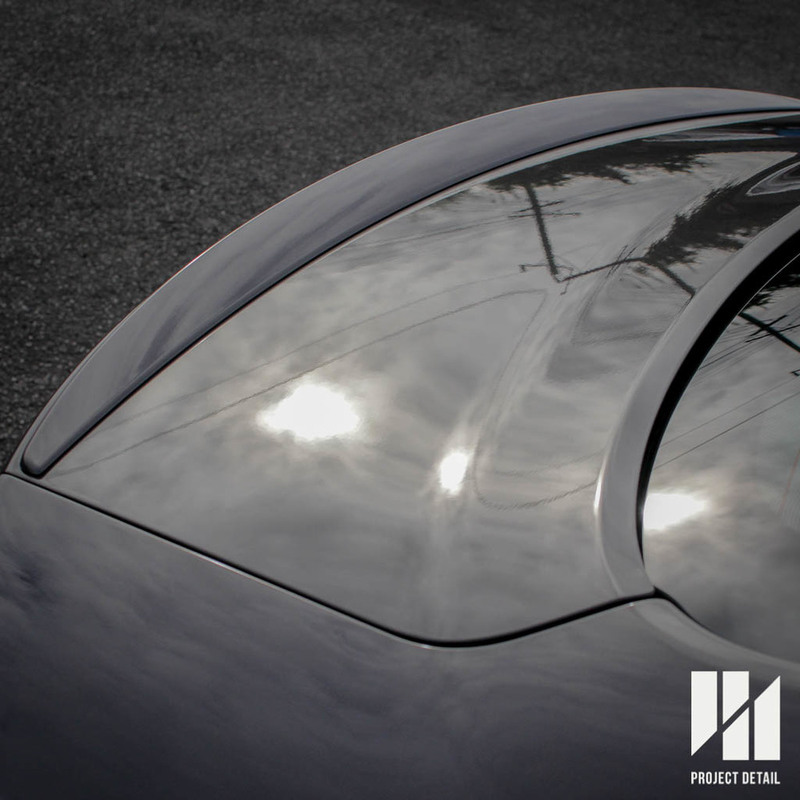 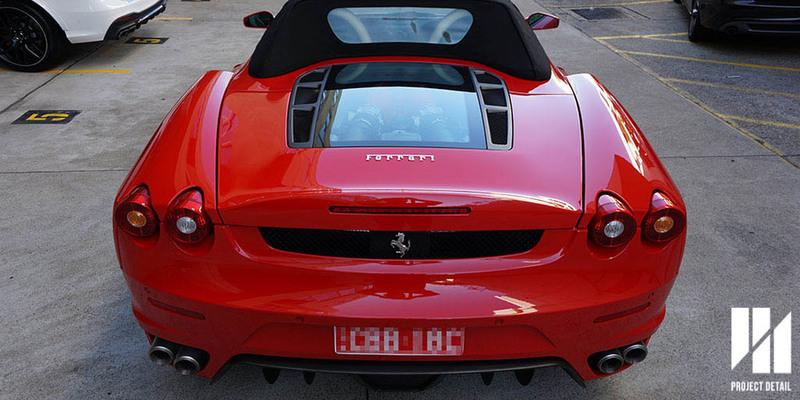 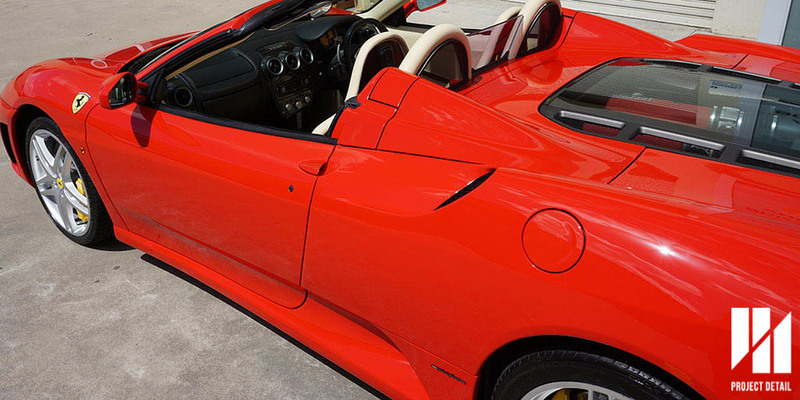 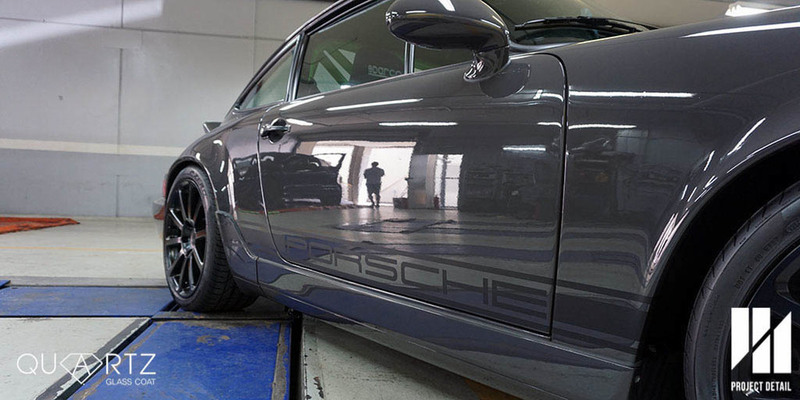 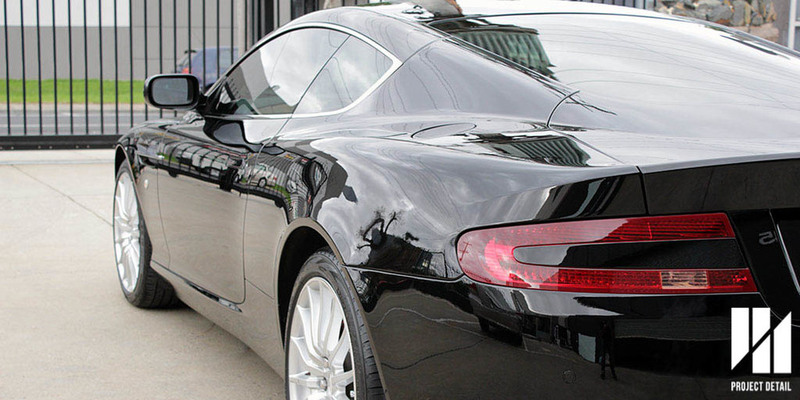 Our PPF techniques are unlike other companies which rely on computer templates to pre-cut the vinyl film according the car's shape. 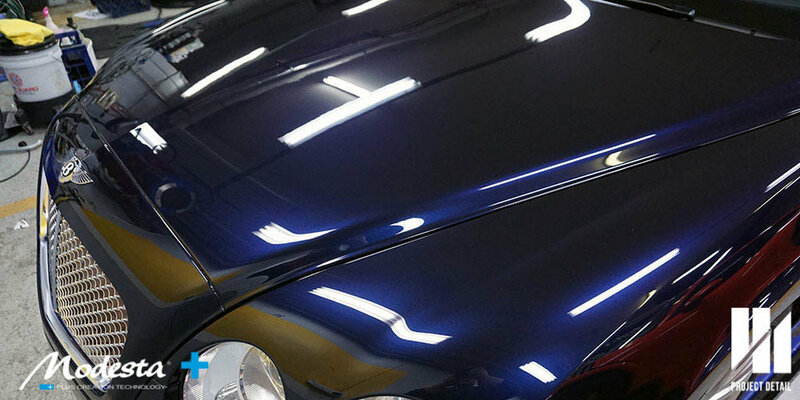 While the pre-cut templates are great for the applicator but this results in several disadvantages; the edges are visible first and foremost, this makes for a less aesthetically pleasing result. 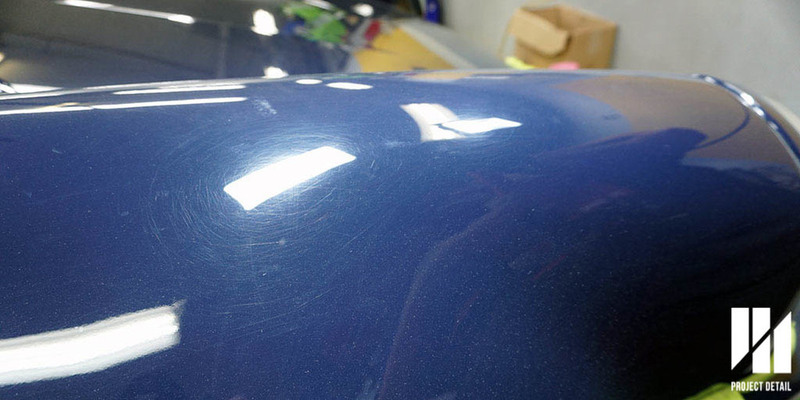 The edges will then catch dirt overtime and ruining the appearance in the future. 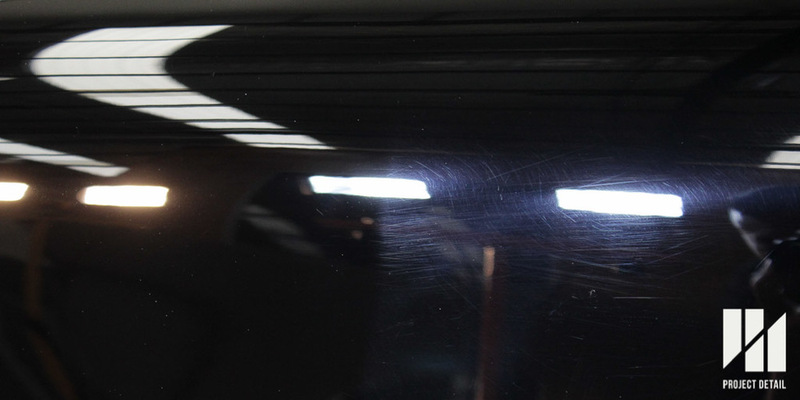 Finally, depending on usage and application, these edges make is susceptible to the edges lifting over time, again ruining the appearance. 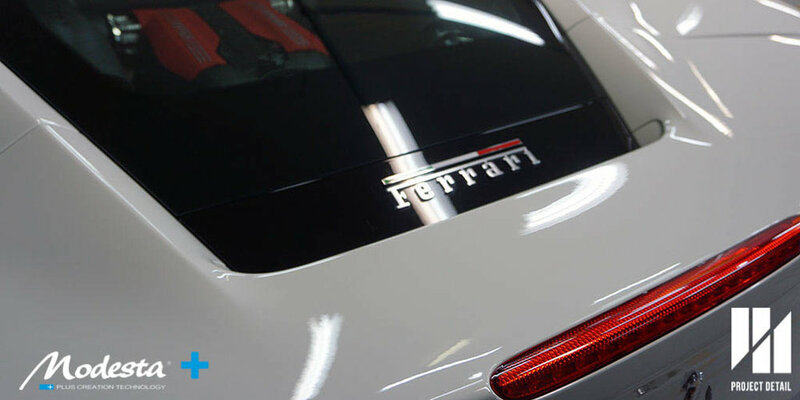 We have the ability to completely freehand and cut the vinyl customising the design for each vehicle. 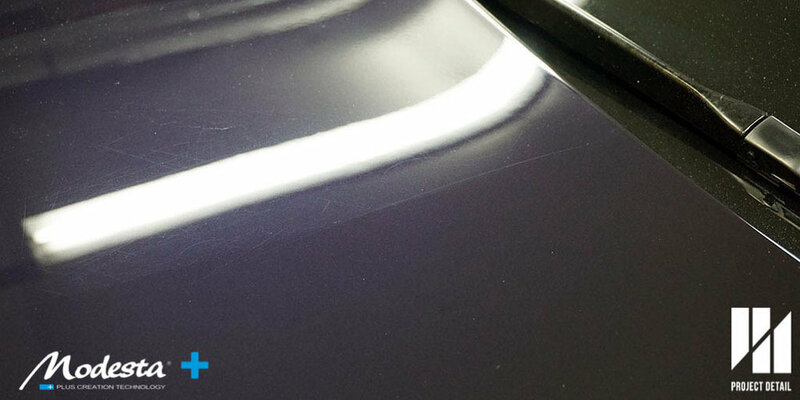 This means a closer cut, making most of the edges invisible and allowing us to tuck the edge of the vinyl under the edge of the panel. 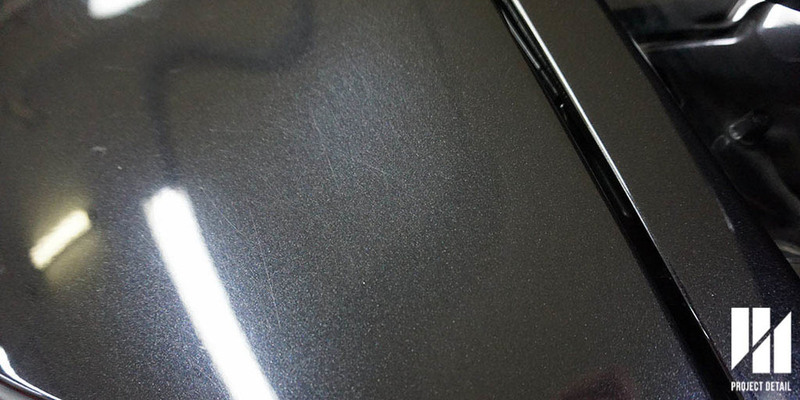 Also, this prevents scratches and chips occurring right on the edges of panels, allowing a better level of protection. 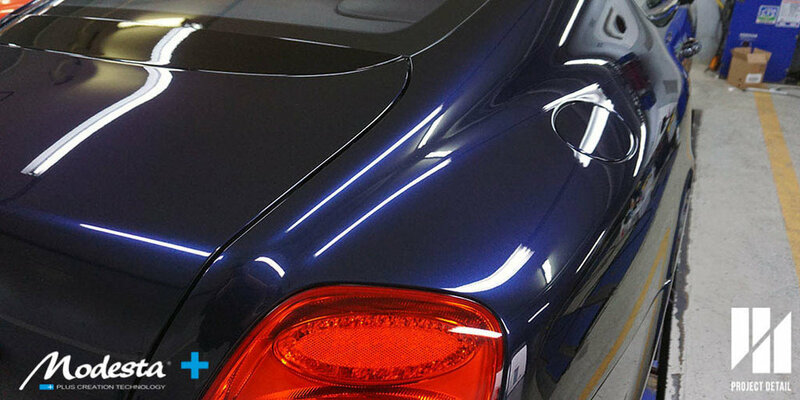 Project Detail provides a wide range of PPF options, from partial kits, front end only kits or full wraps using only the best brands available in paint protection film. 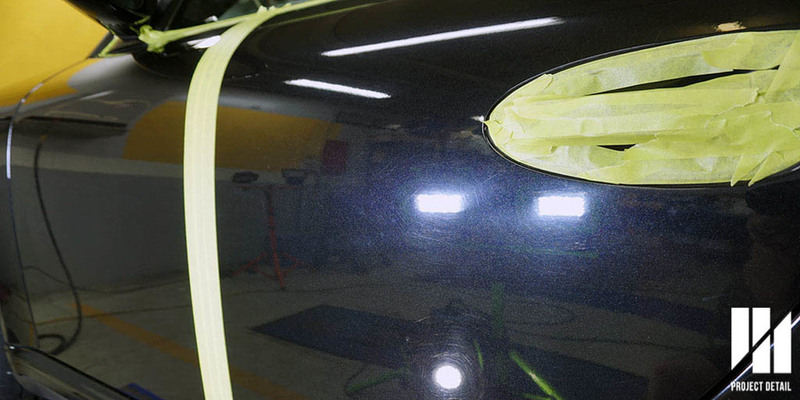 The remaining components of the vehicle were protected using a variety of coating options through Project Detail. 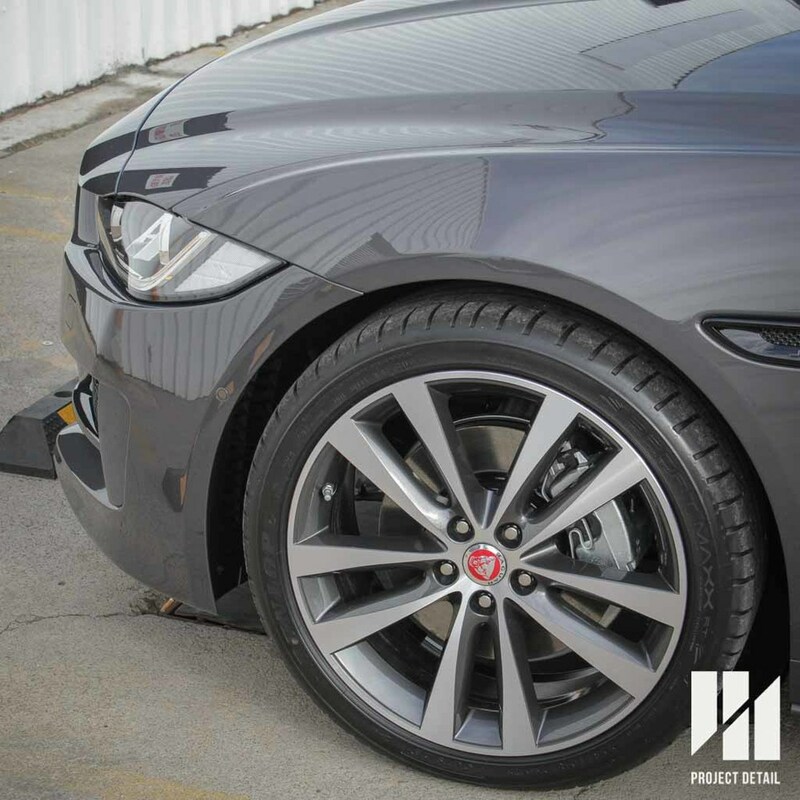 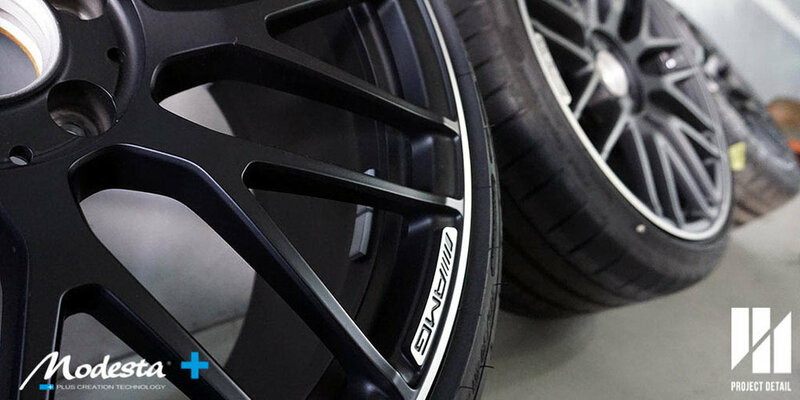 The matte black wheels and brakes were coated in TAC System's Quartz Magic wheel and brake coating. 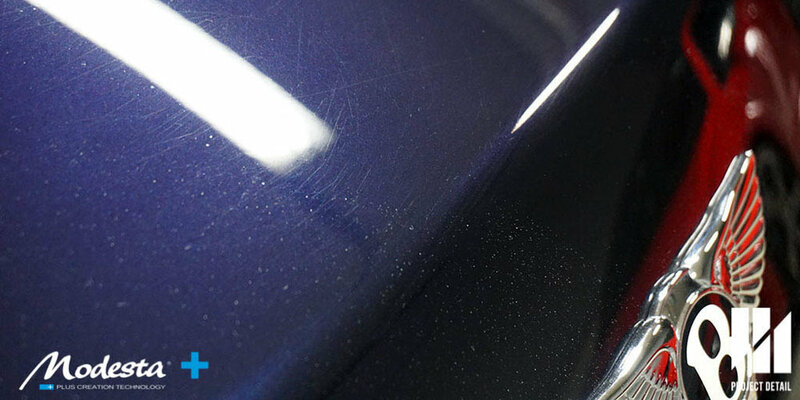 This is a highly heat resistant coating which allows wheel's and brakes to stay glossier and allows them to be easier to clean. 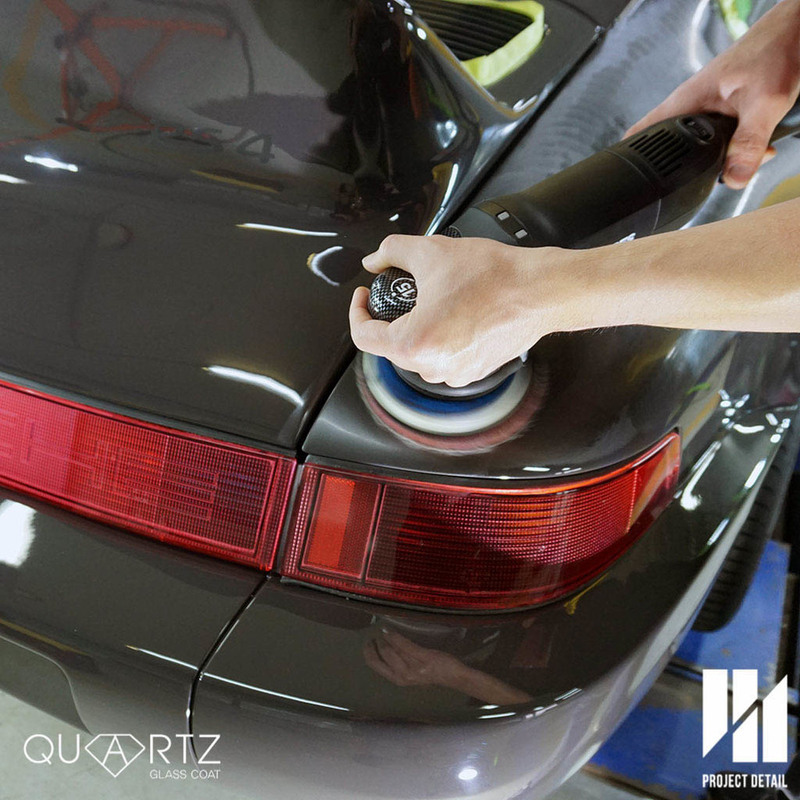 Quartz Magic makes gloss finished wheels even glossier and for matte finish wheels they provide a rich satin finish. 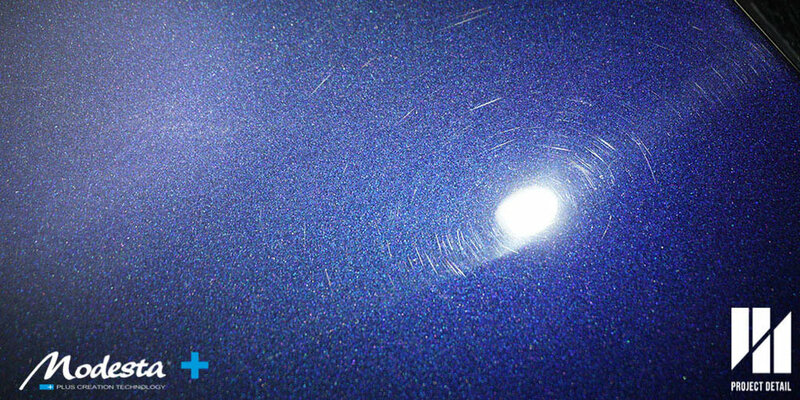 The interior was not neglected either, the carbon trim was protected with TAC System's Quartz Sparkle premier coating. 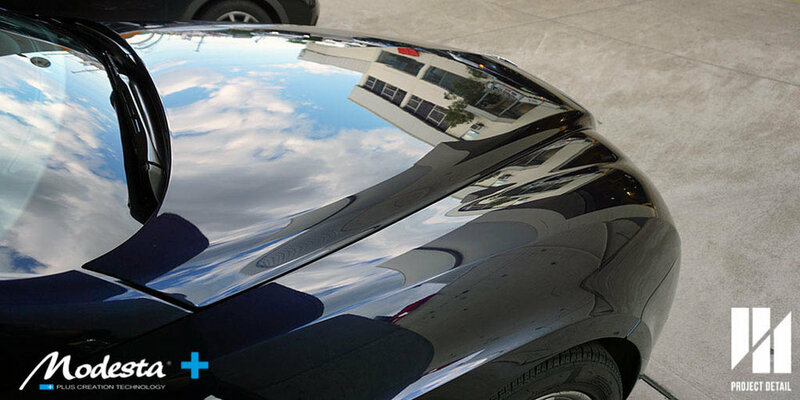 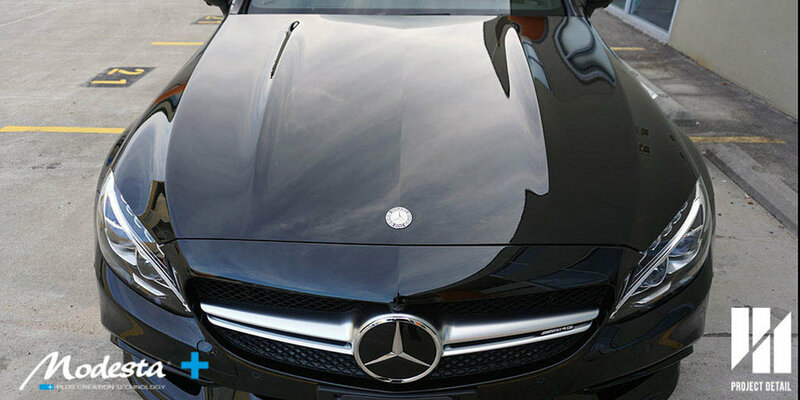 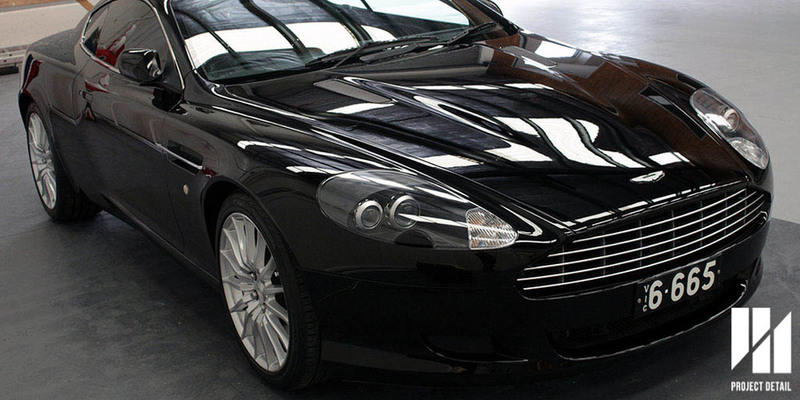 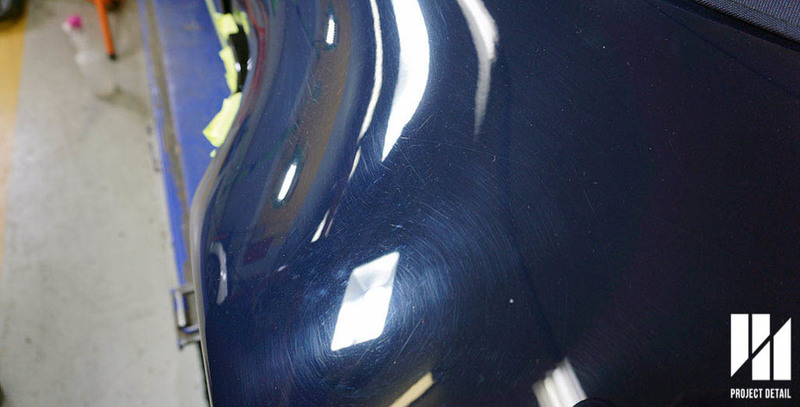 This is an extremely glossy coating which provides long term protection for any surface. 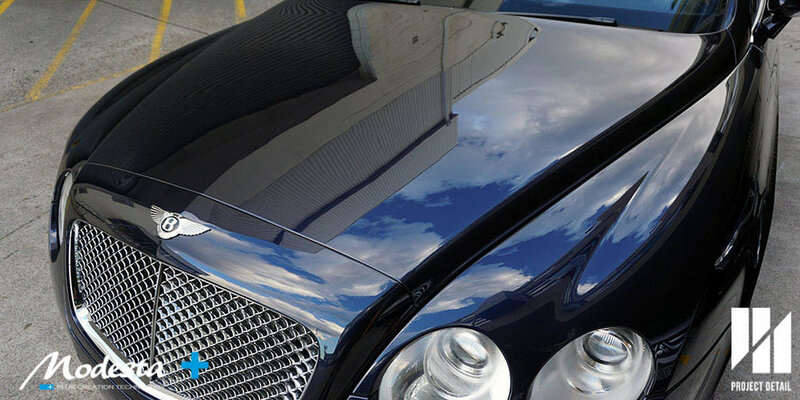 The windscreen's were also coated with CS2 ClearVue high performance windscreen coating, allowing rain and liquids to run off the windscreen. 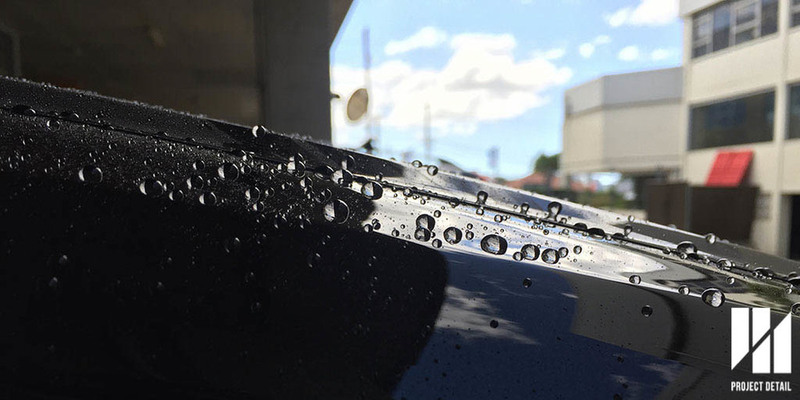 The owner was particularly concerned with vision when the car goes to the track, he found the rain can inhibit his vision. 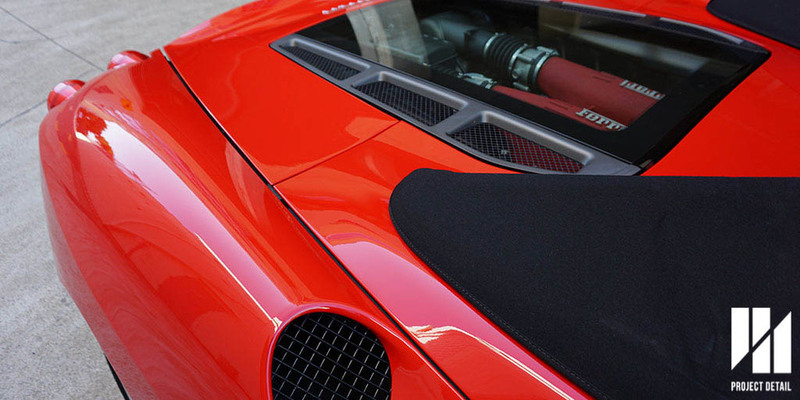 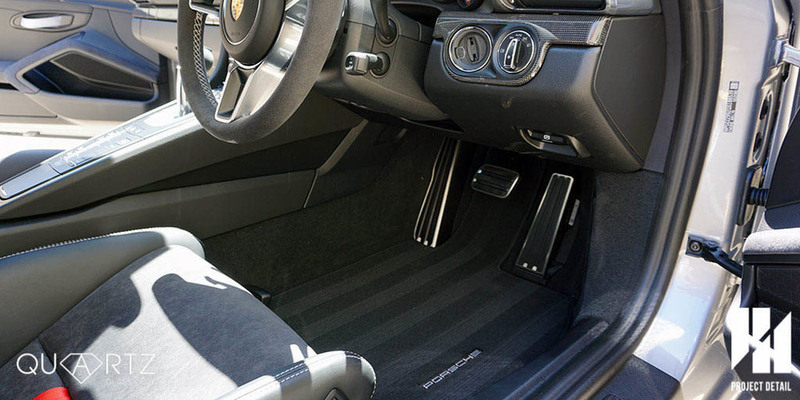 The suede and leather was cleaned and treated with Swissvax leather car products. 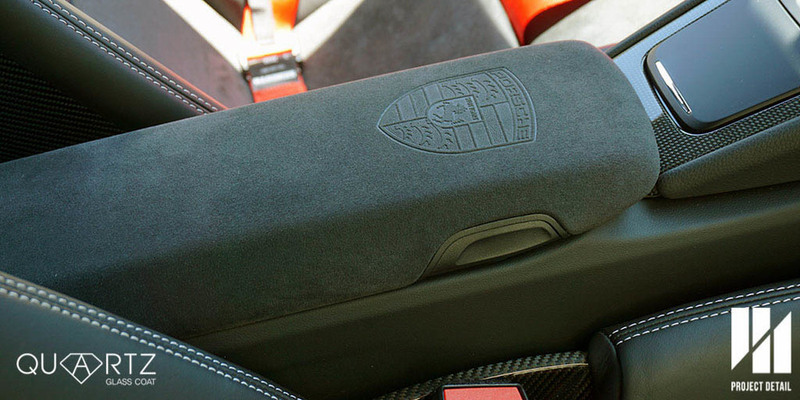 Being Sydney's approved Swissvax applicator, means we have access to the full range of products from this bespoke line of products, from waxes to suede and leather care. 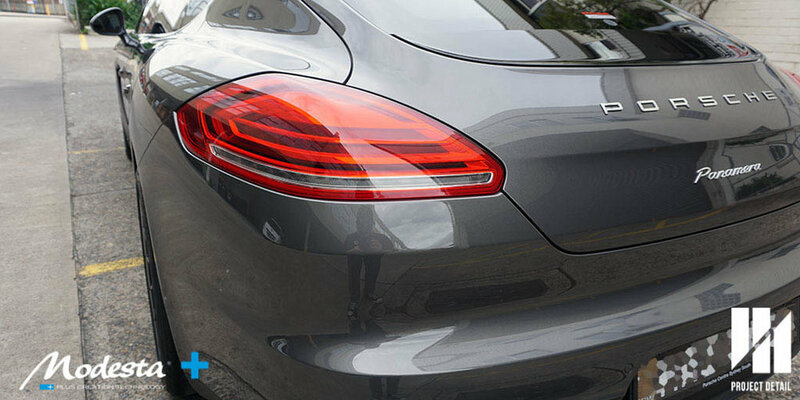 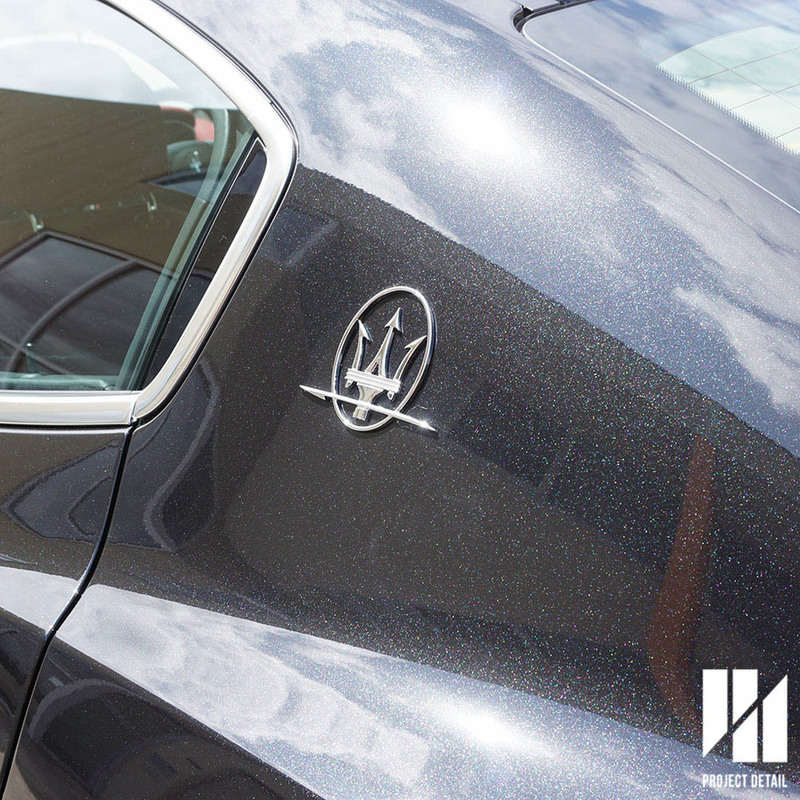 The vehicle overall, only required a light machine polish in order to remove light swirls and hairline scratches from the dealership. 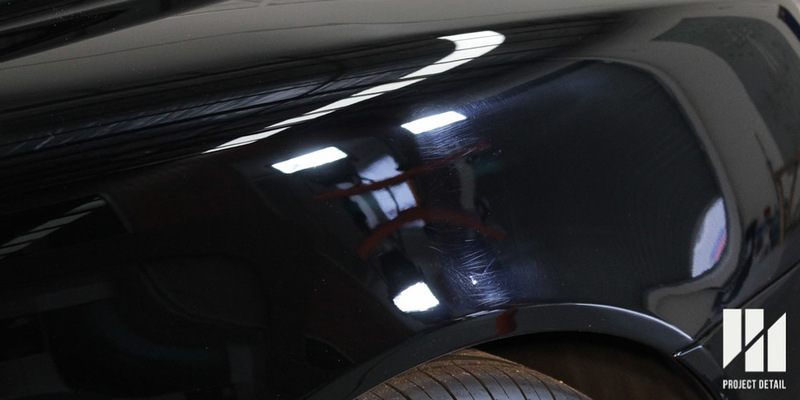 This also made the paintwork as glossy as possible before being vinyl wrapped. 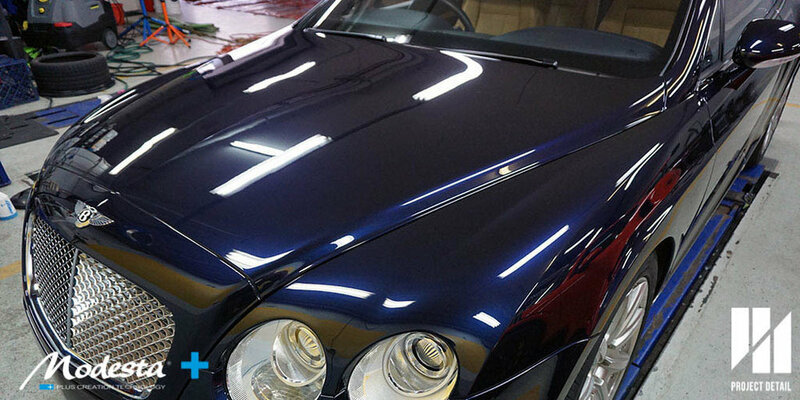 This project took 6 days to complete in total to complete and we are extremely satisfied with the results. 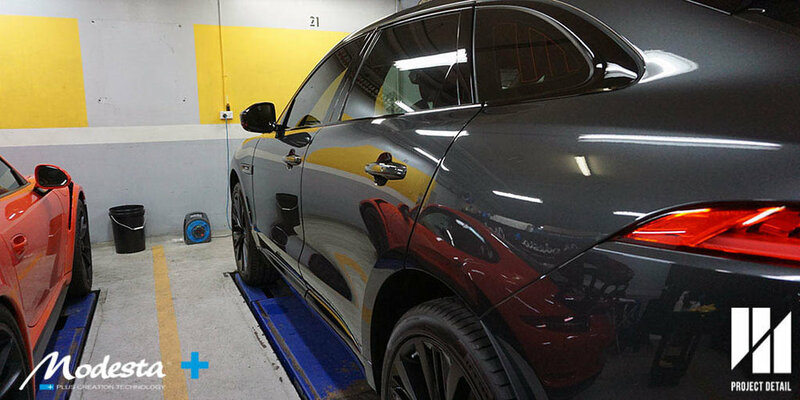 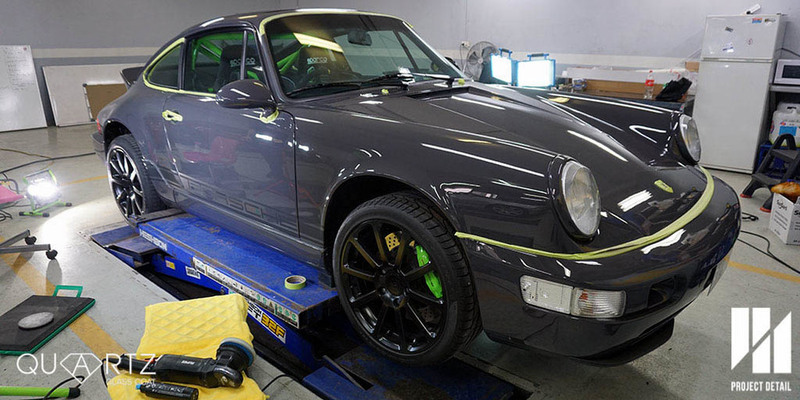 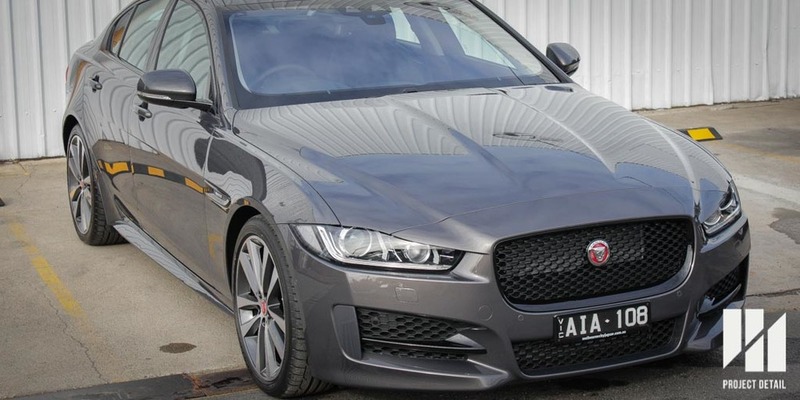 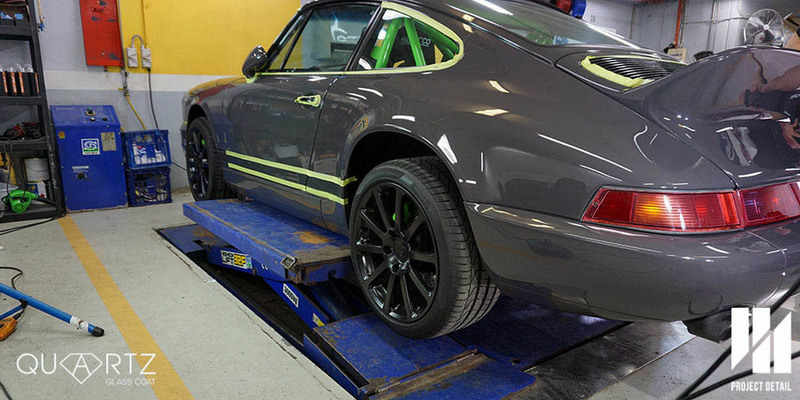 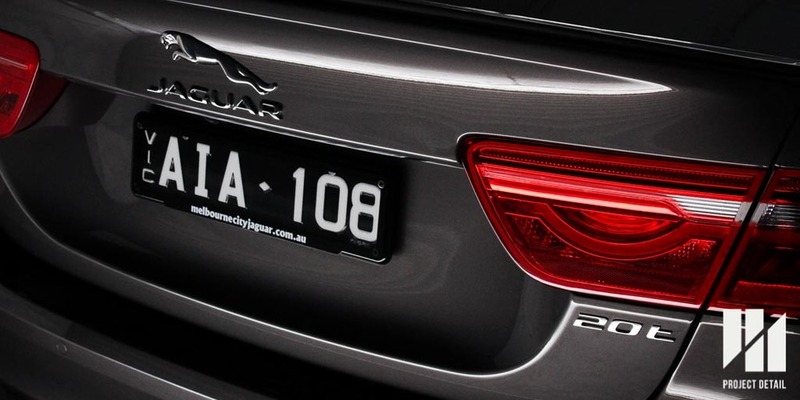 If you own a unique vehicle or would like an extremely high level of care for your car, please feel free to drop by our specialised workshop or contact us by clicking here.